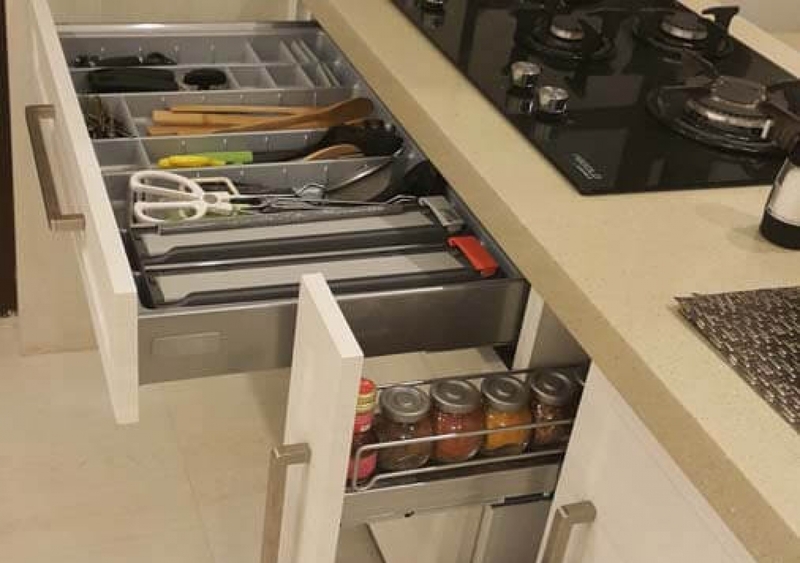 With fantastic innovative features, clever storage systems and the perfect combination of flexibility, function and style, the Hybrid Kitchen luxurious, modern kitchen & pantry cupboards range has the ability to cater to every taste. 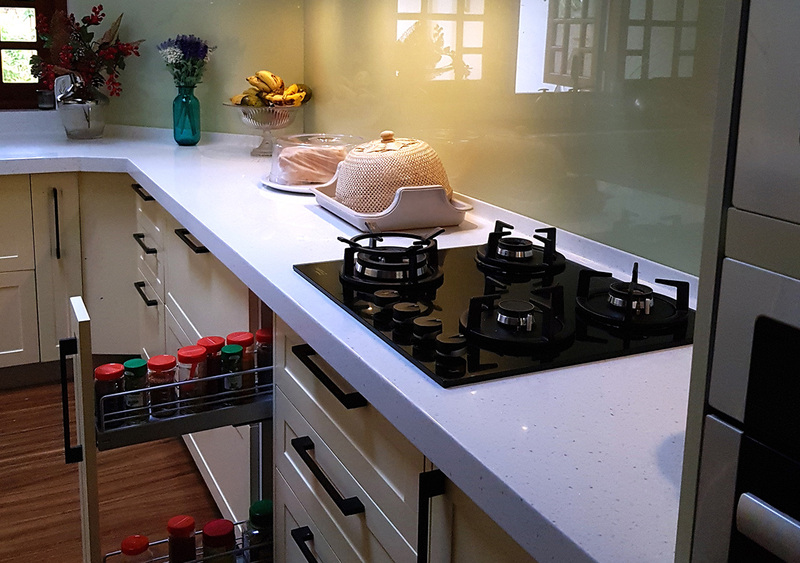 We’ve taken the beauty and finesse of Hybrid Kitchen and applied a simple functionality that makes each pantry cabinet design in this range an aspirational solution for modern living. 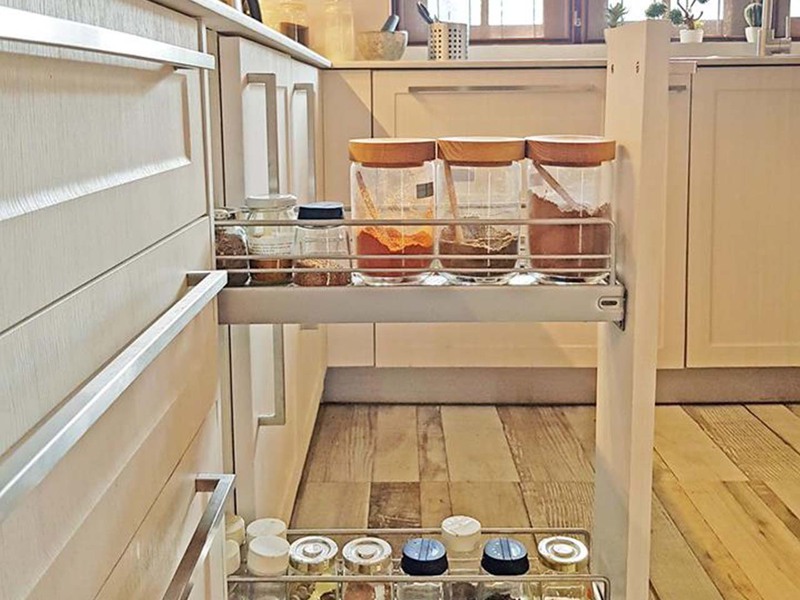 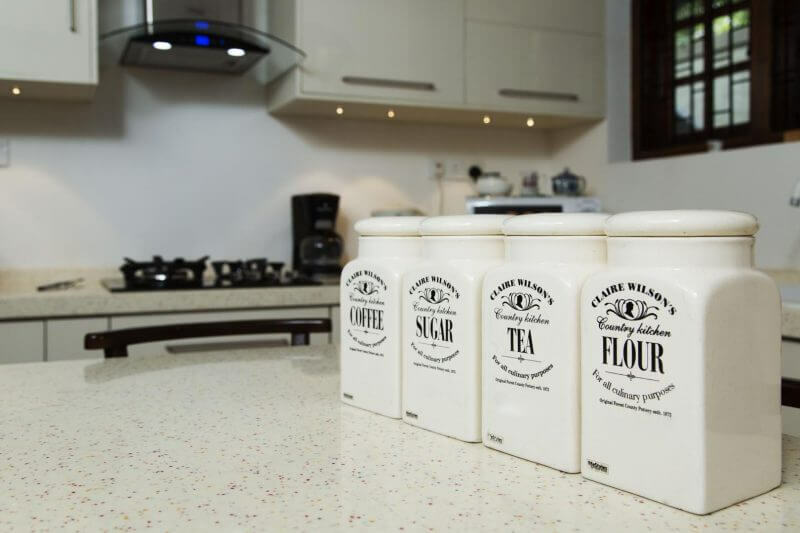 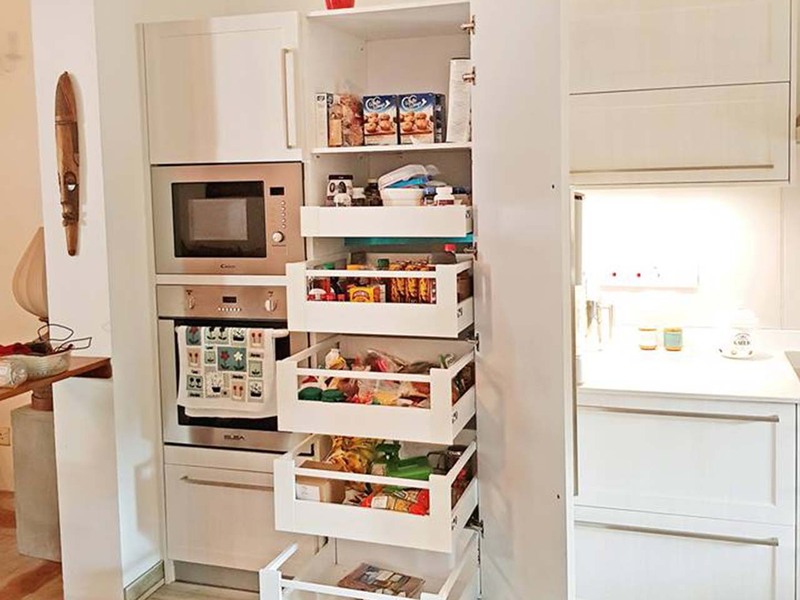 When choosing the perfect set of pantry cupboards, it’s important to think about not just what you need now, but also in the future. 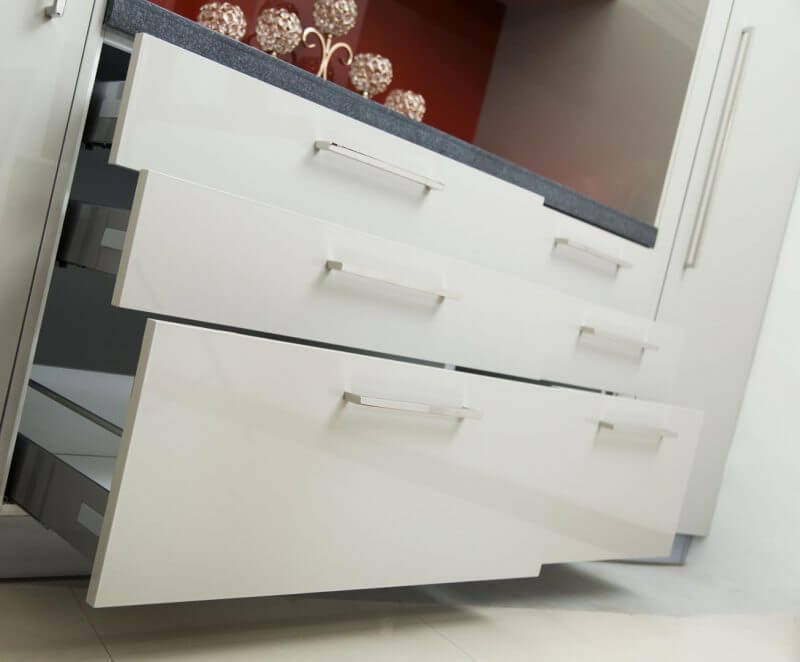 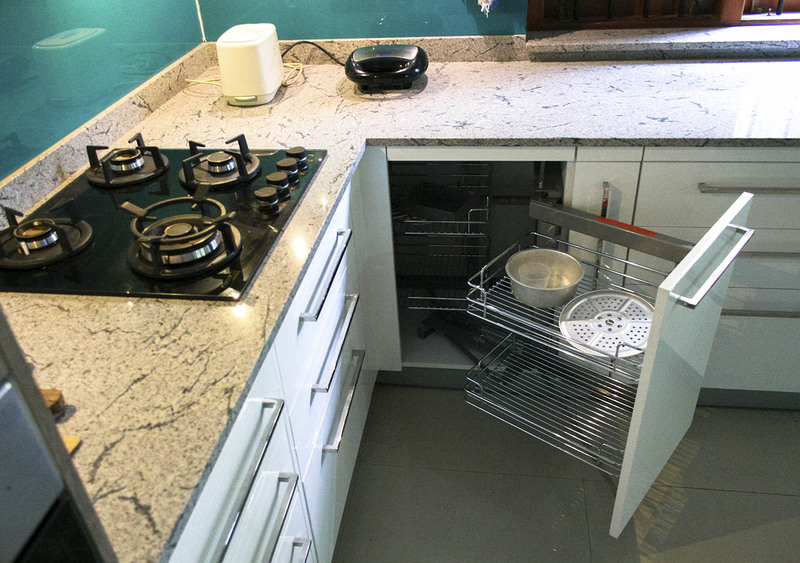 By using your available space efficiently, it’s surprising just how much extra storage you can create. 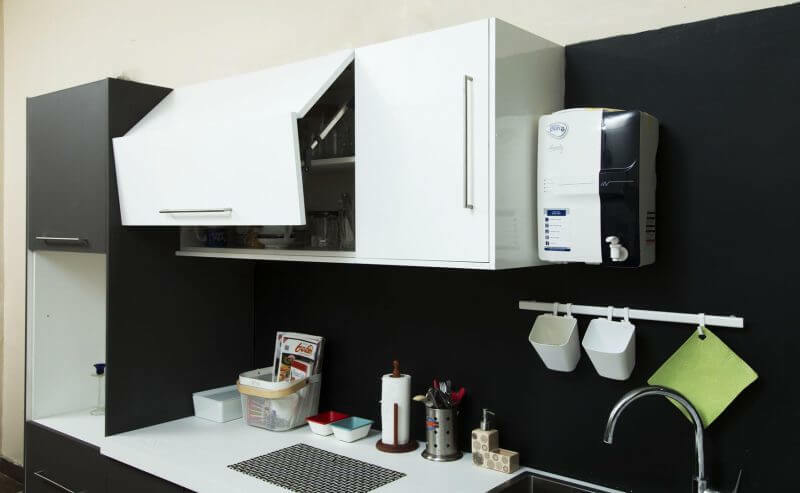 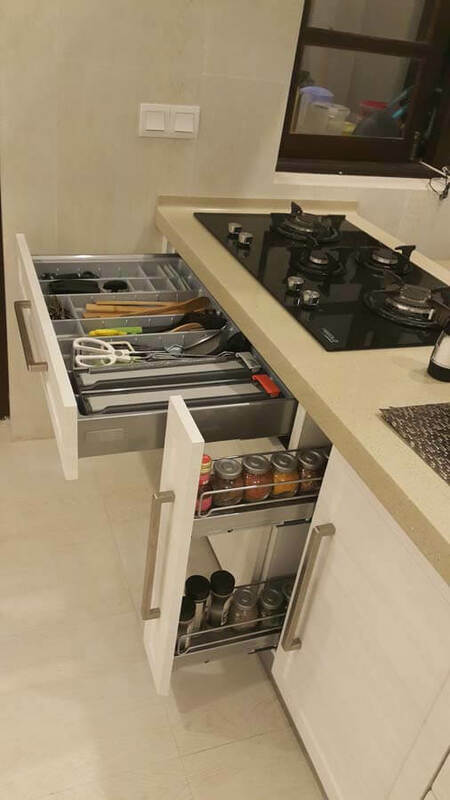 Our set of kitchens and pantry cupboards have plenty of clever kitchen storage ideas and tricks to maximise your integral units. 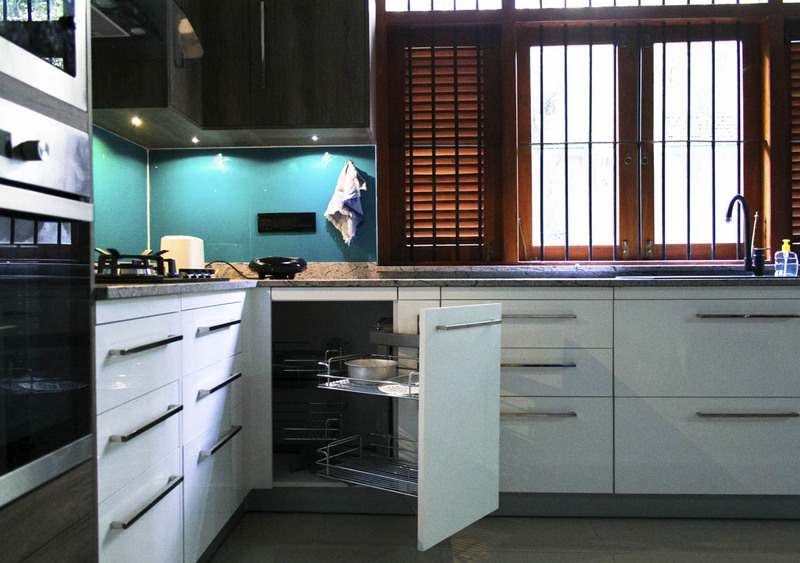 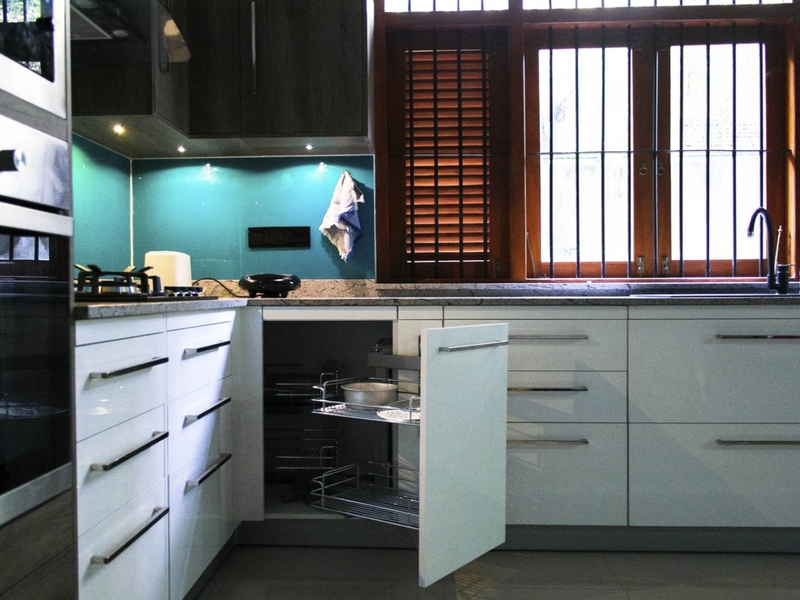 The closer you look at a set of Hybrid Kitchen – pantry cupboards, the more you’ll appreciate its superior quality and traditional European craftsmanship. 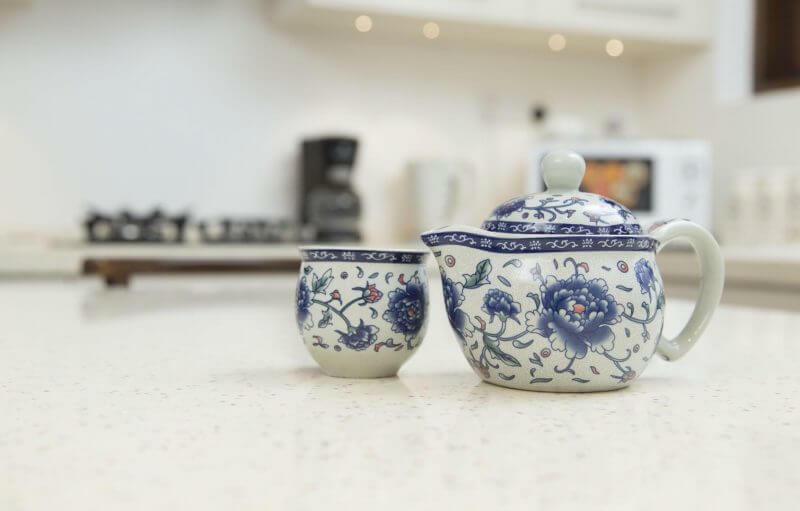 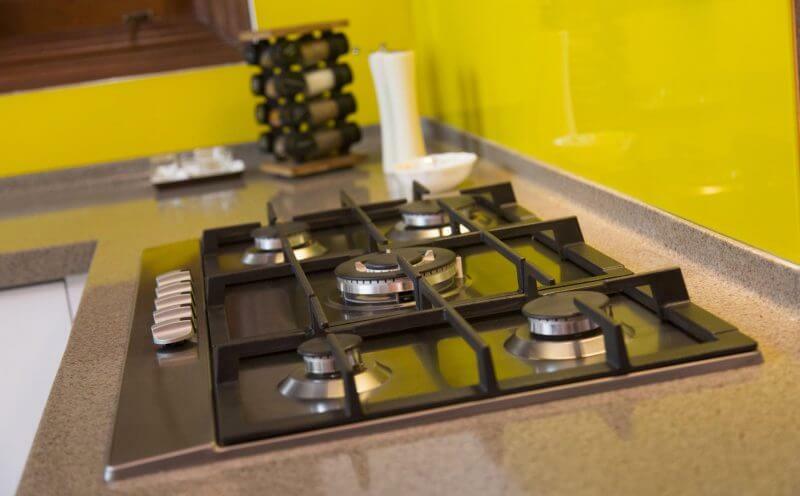 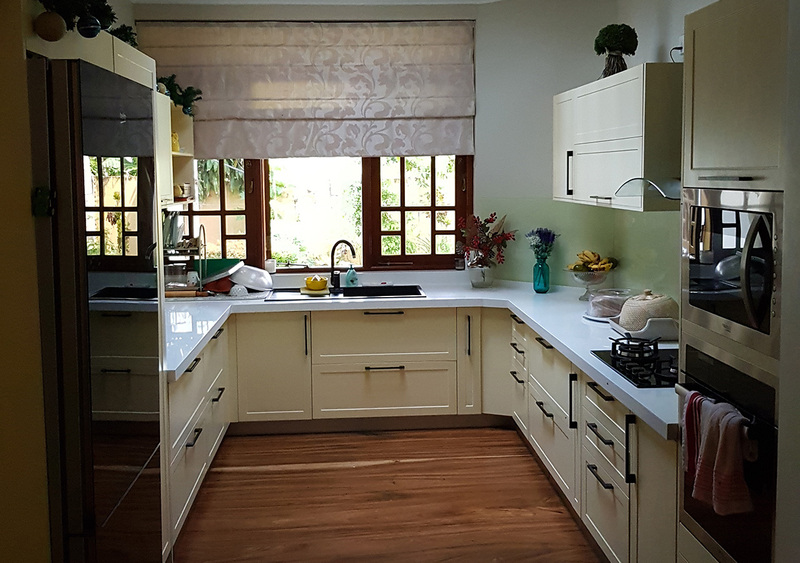 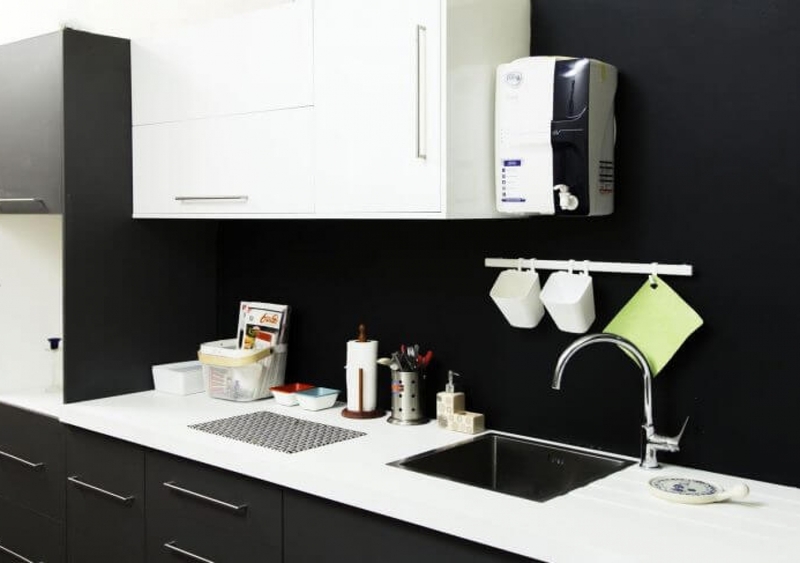 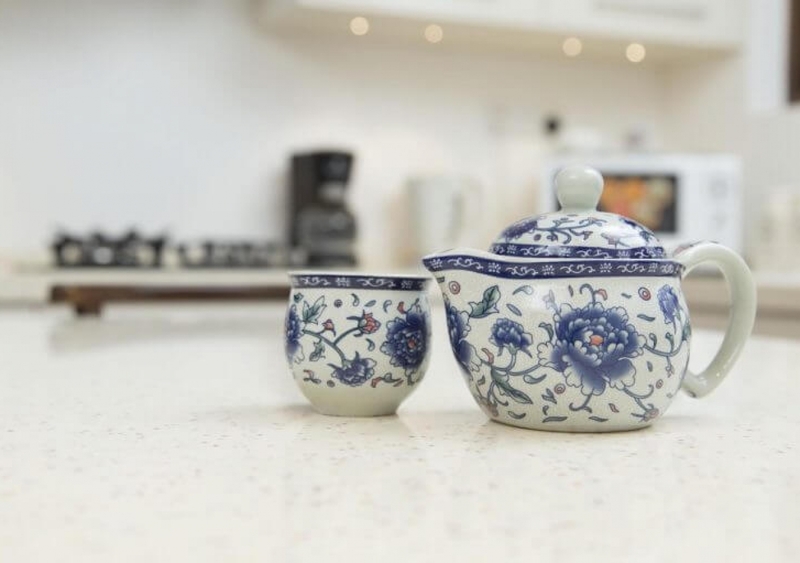 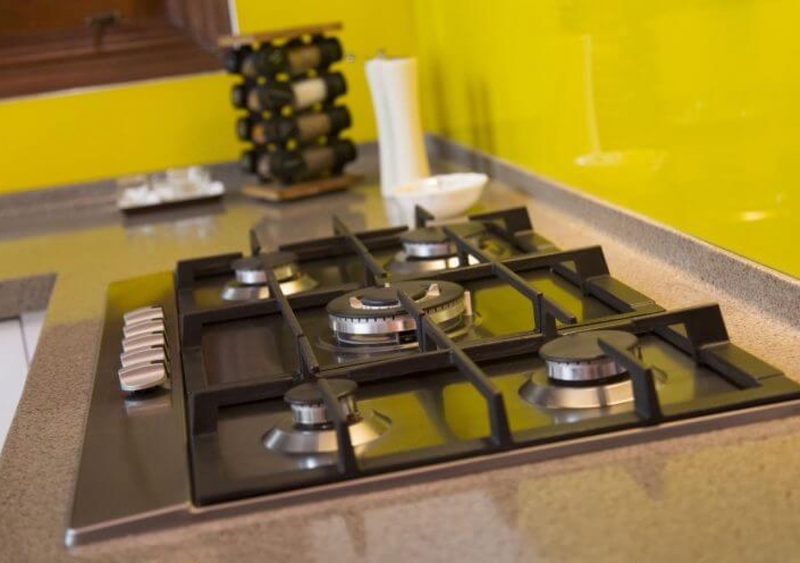 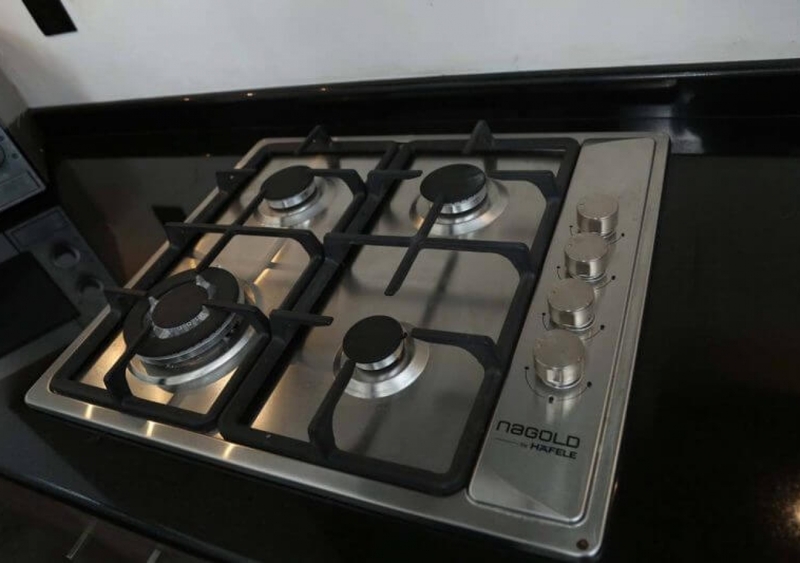 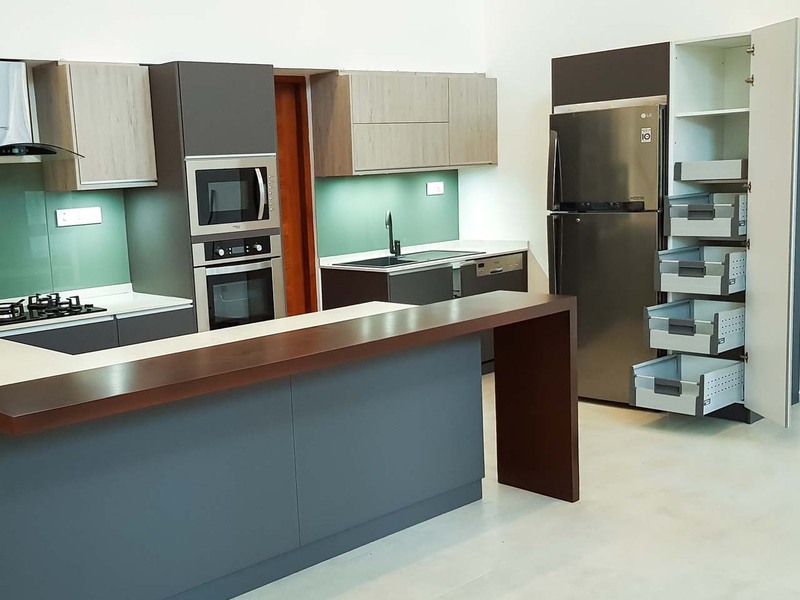 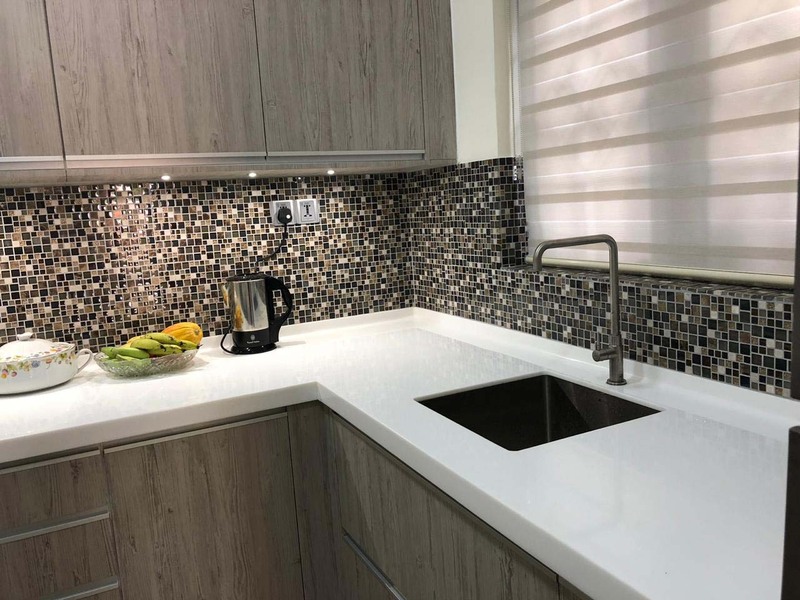 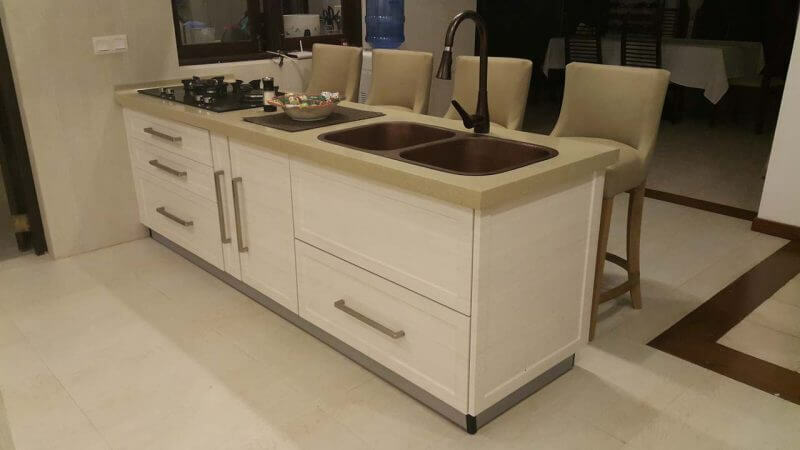 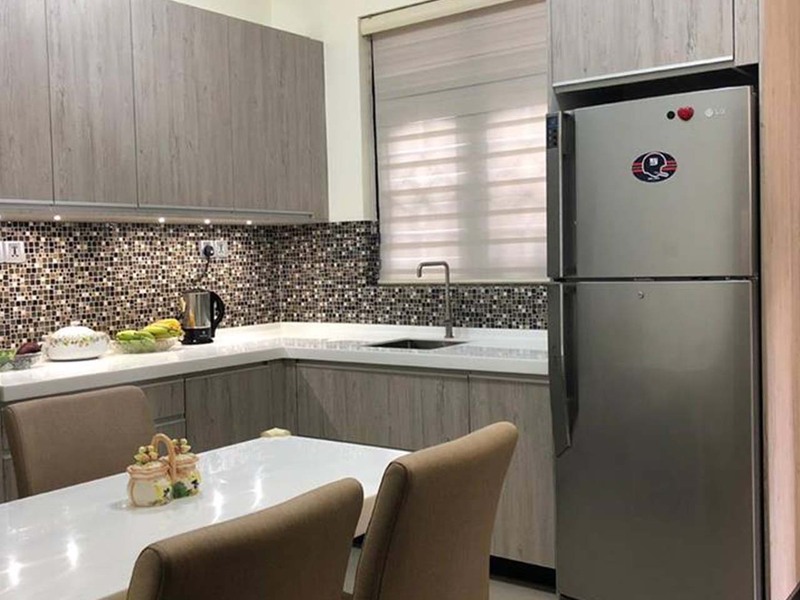 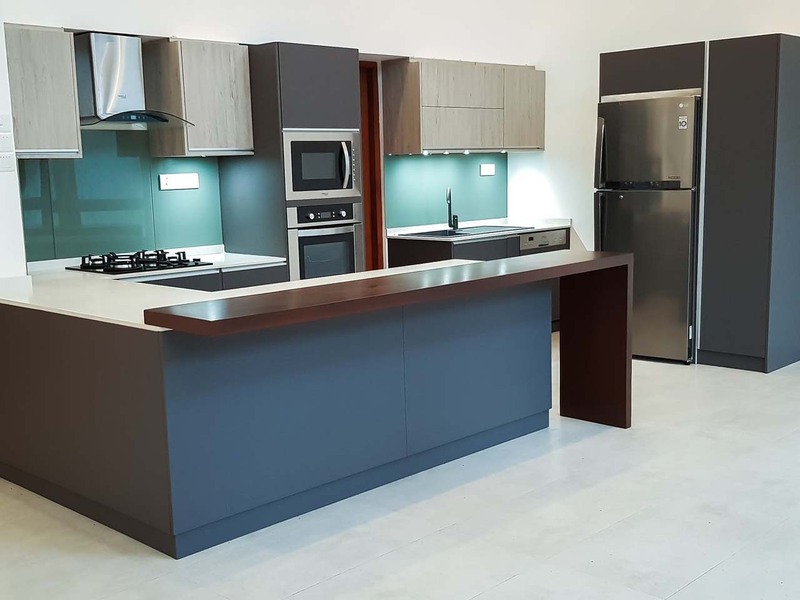 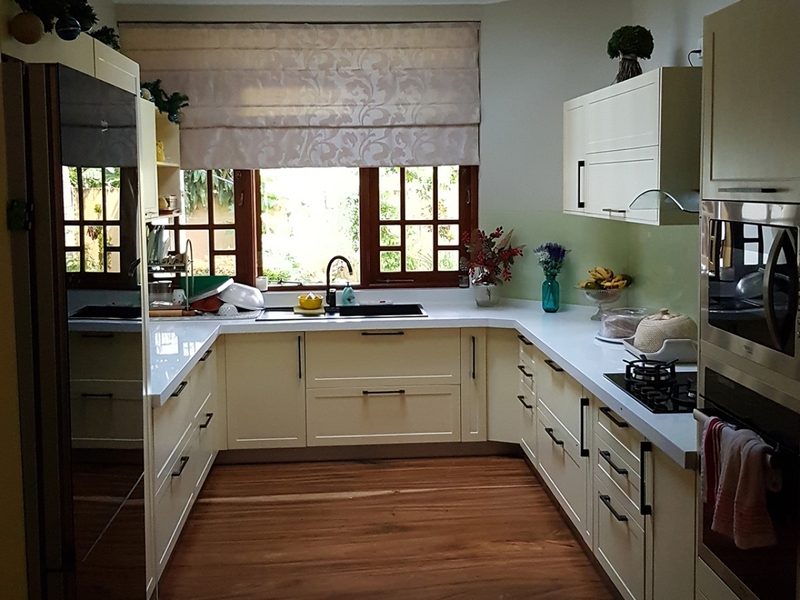 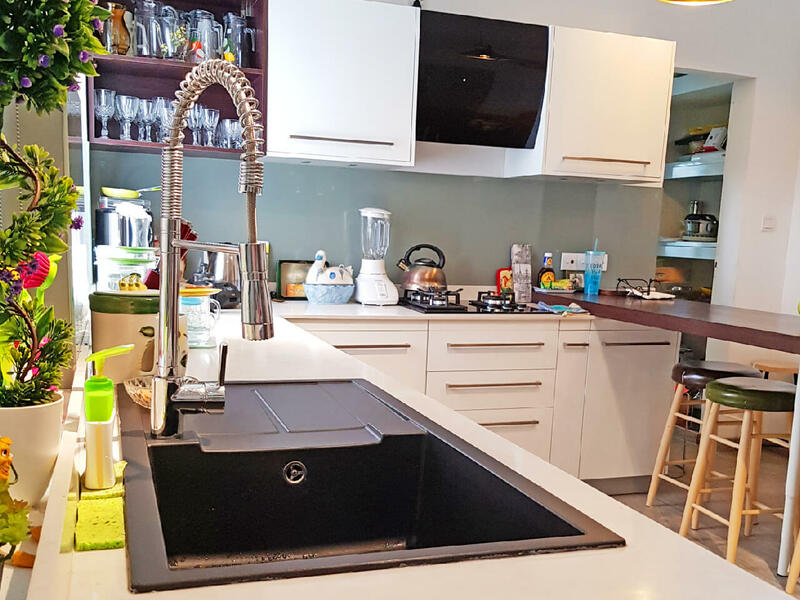 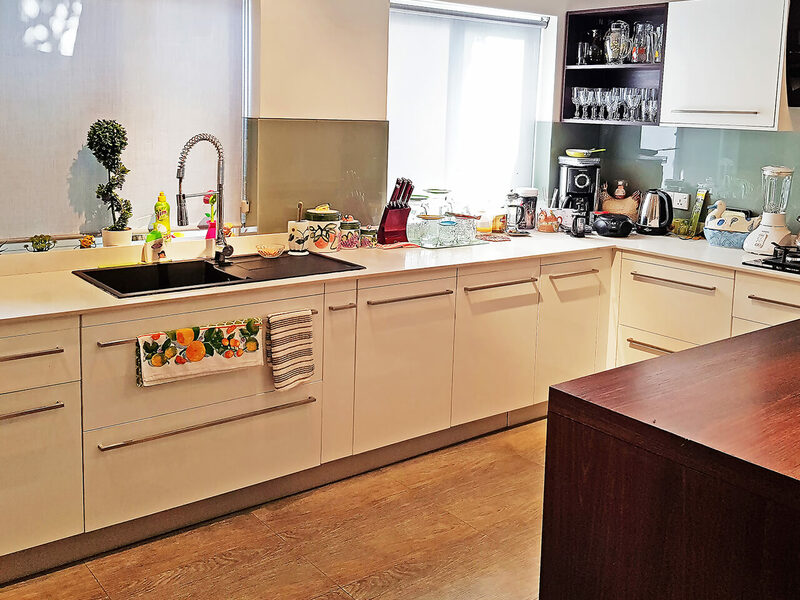 The features and accessories have been carefully selected to help you create a kitchen that not only looks beautiful, but suits your individual tastes and needs. 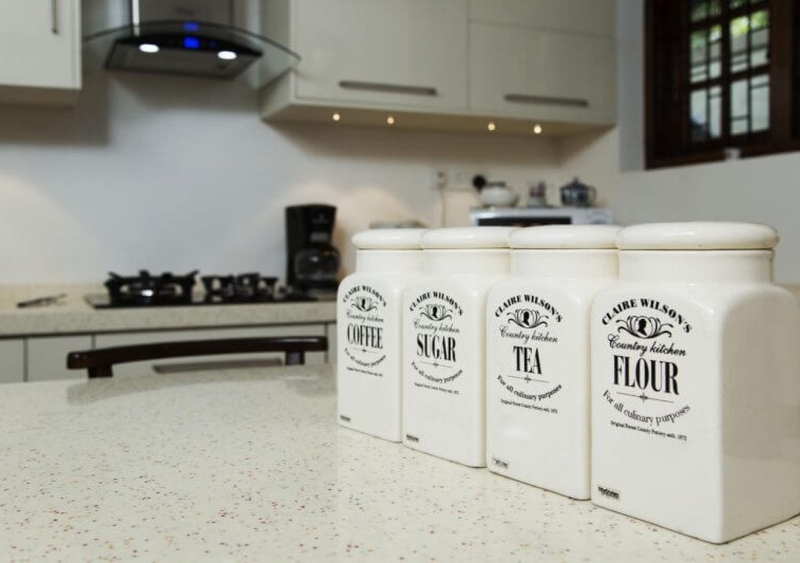 The finer details can really give your pantry cupboards a character all of its own. 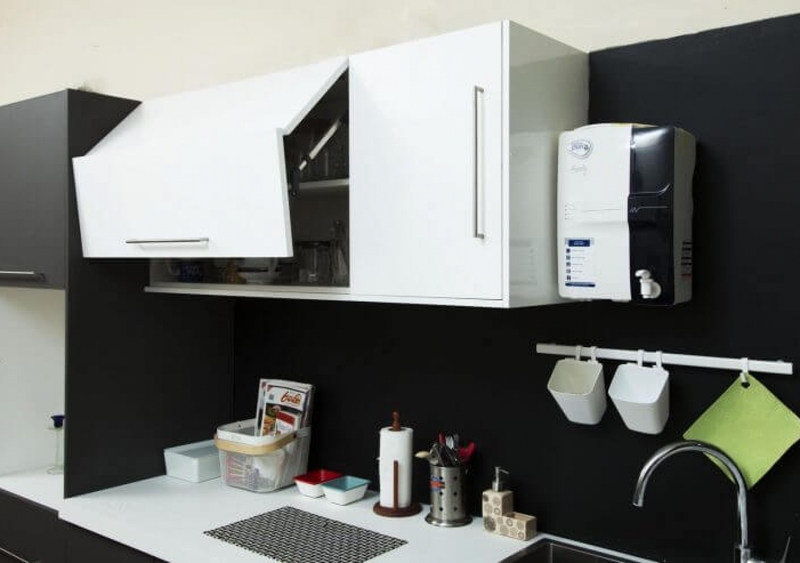 And the possibilities are almost limitless. 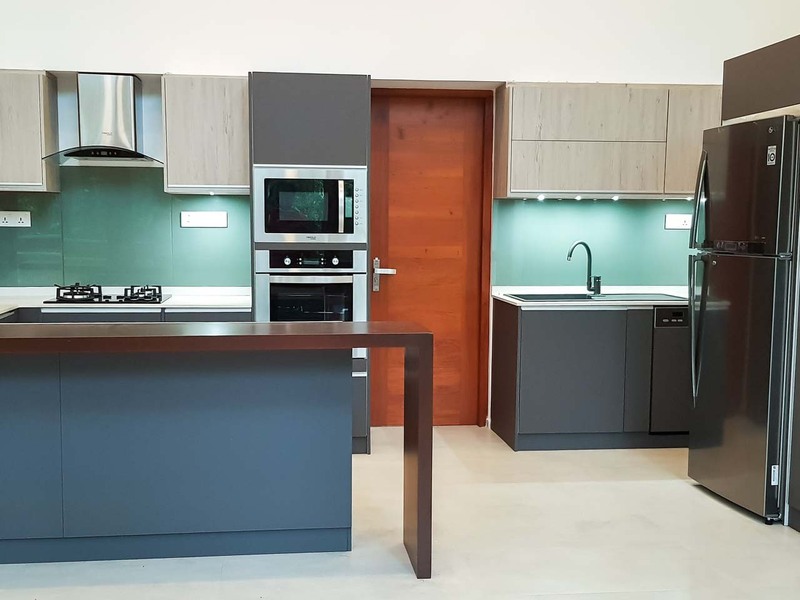 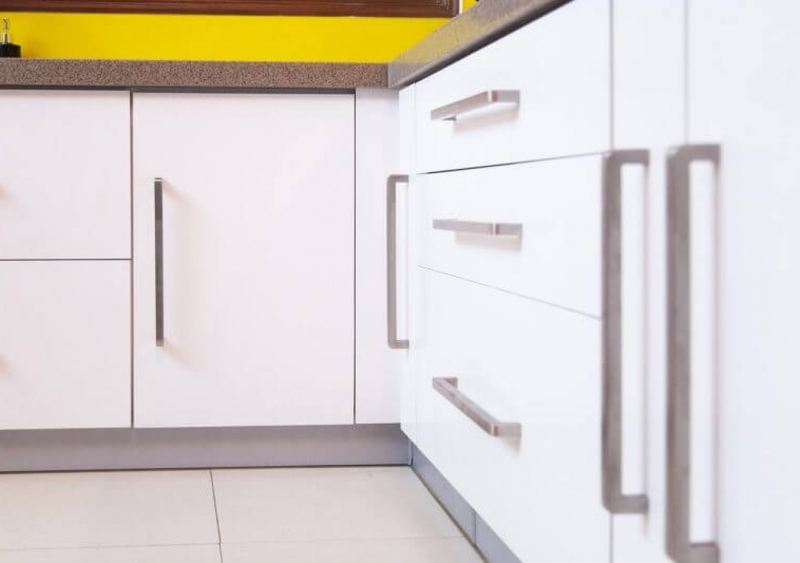 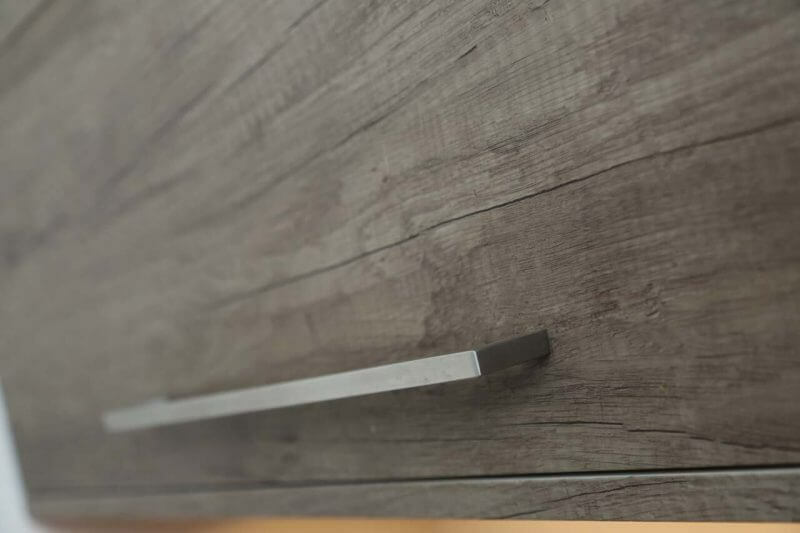 From pelmets and pilasters, door and drawer styles, kitchen worktops and paint finishes to smaller details such as handles, lighting, shelving, sinks and taps. 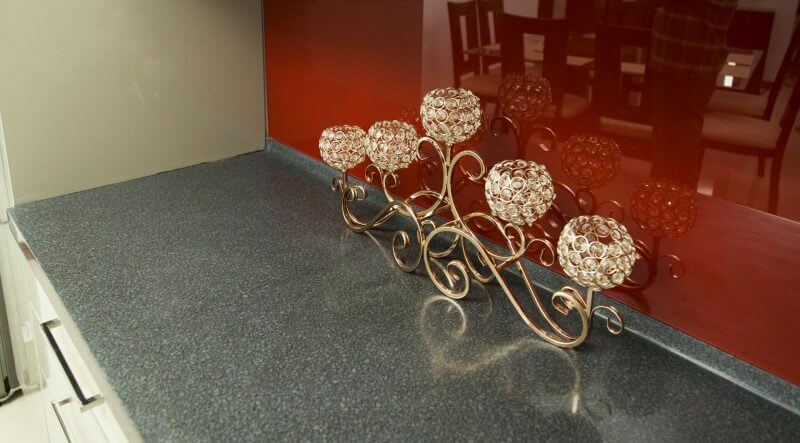 Whatever suits your style we are there to provide you with it. 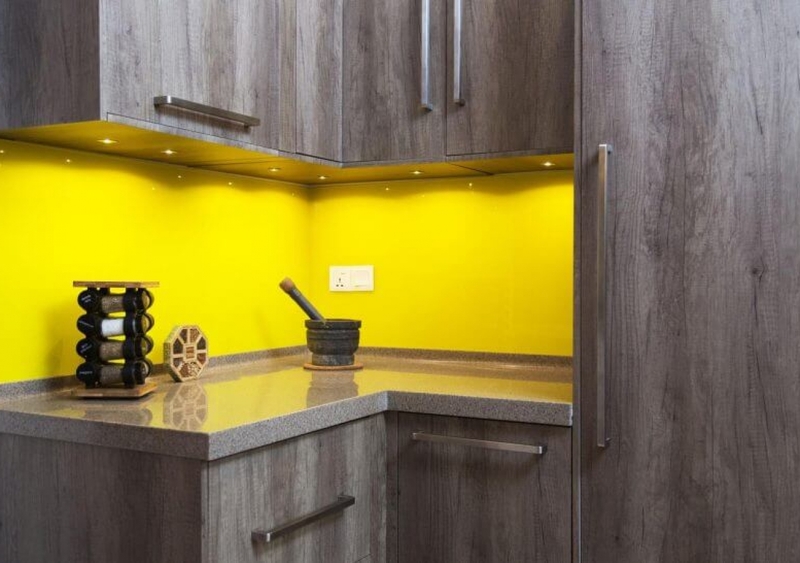 More space was introduced by the light rustic colour choice. 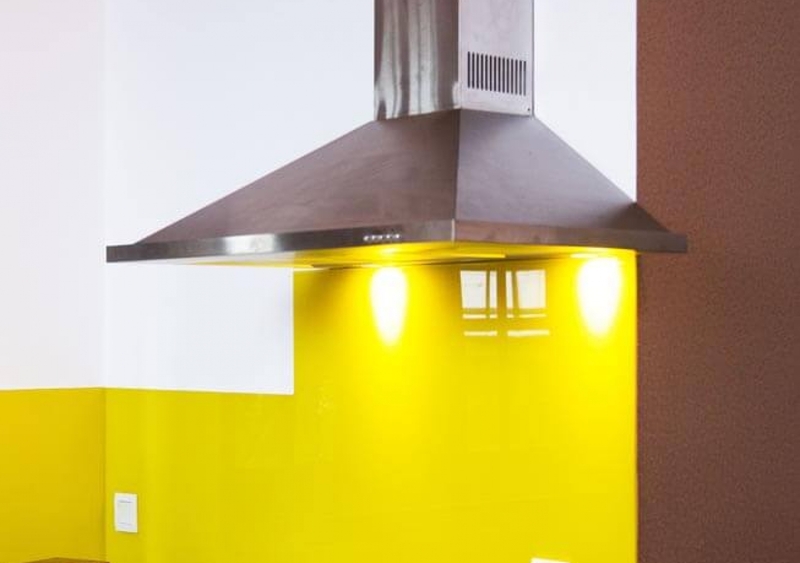 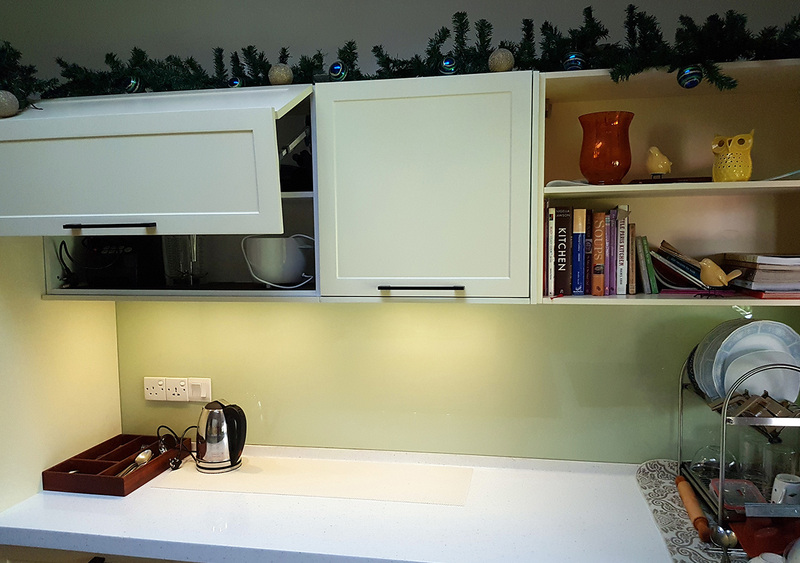 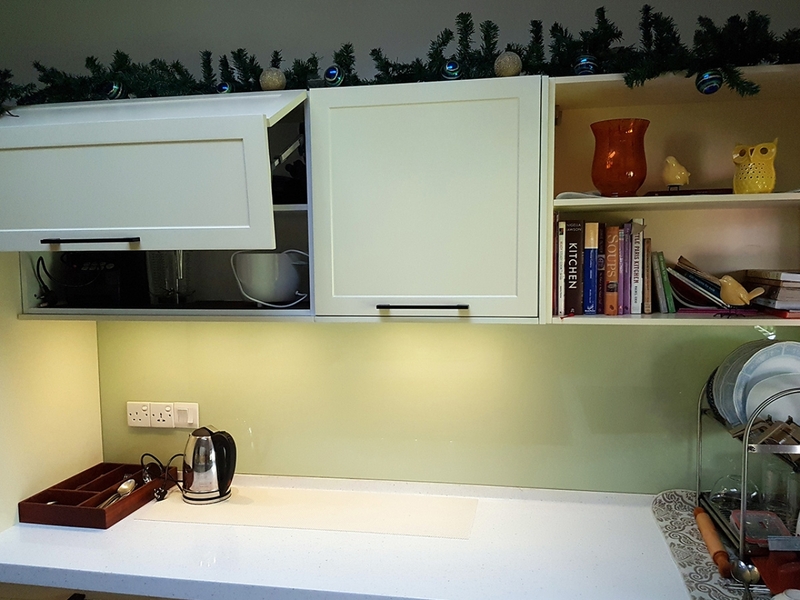 Matching light colour choice for the glass splashback went hand in hand to bring out the character anticipated by the designer. 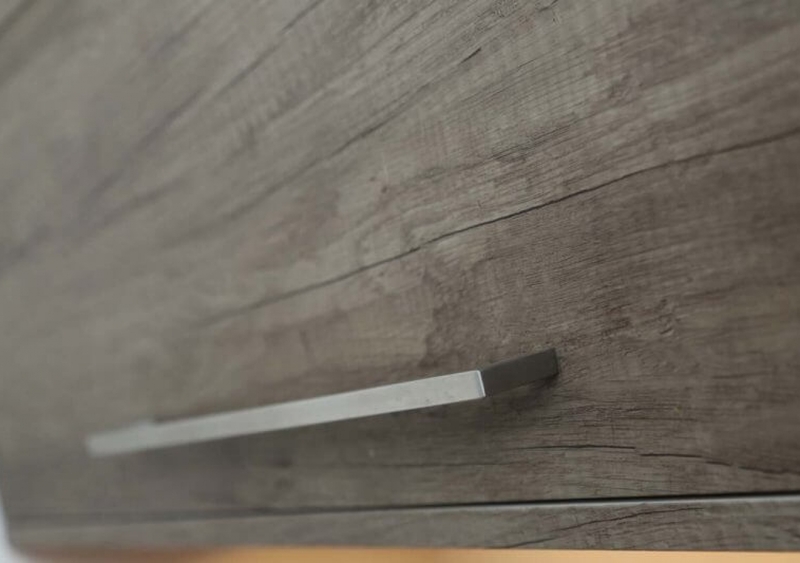 Sleek, modern super matt grey makes the rustic pine stand out. 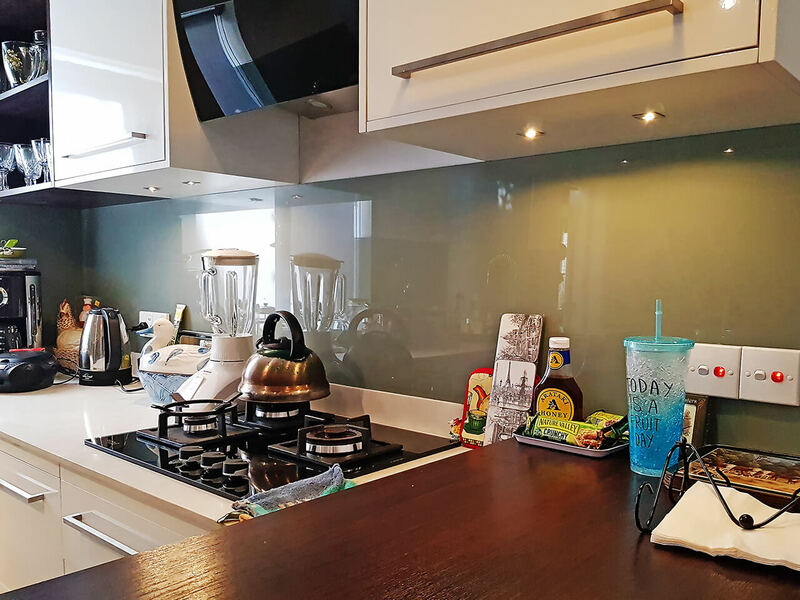 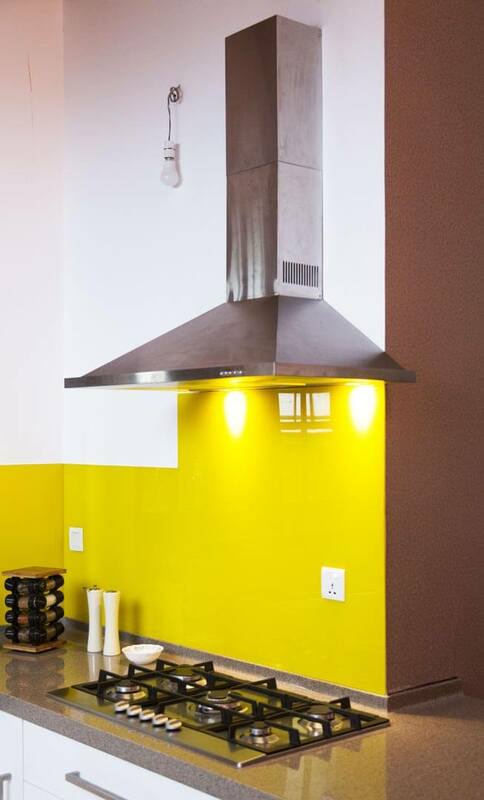 Stone grey for the glass splashback makes all colours earthly and easy on the eye makes you wanting to spend more time in the kitchen. 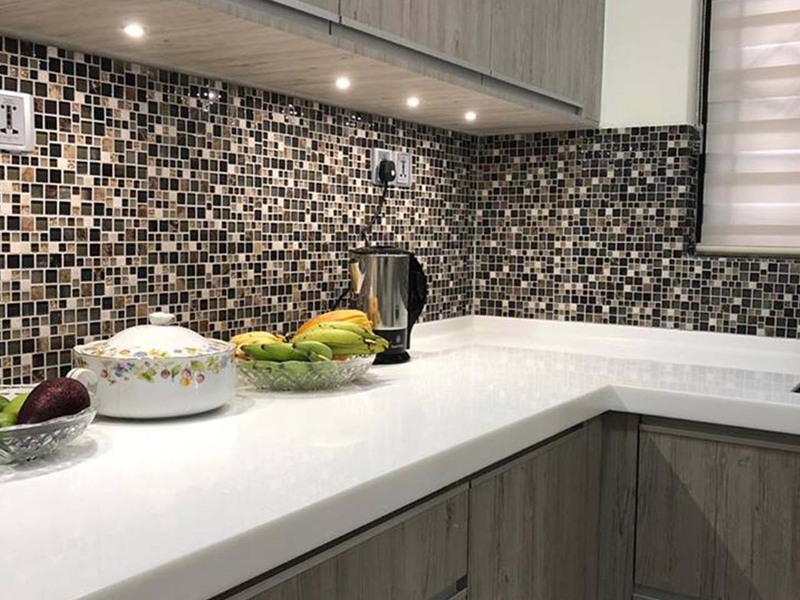 All rustic pine finish, sleek profile handles and mosaic tiles for the splashback have made this kitchen a one of a kind. 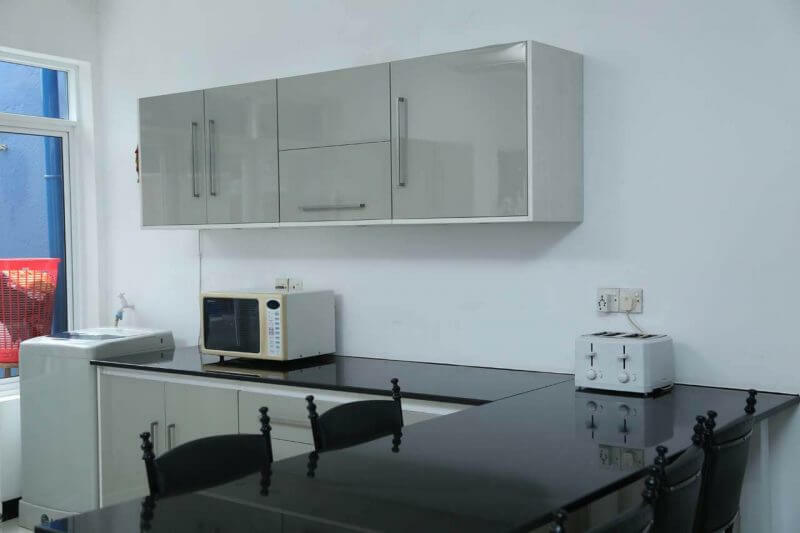 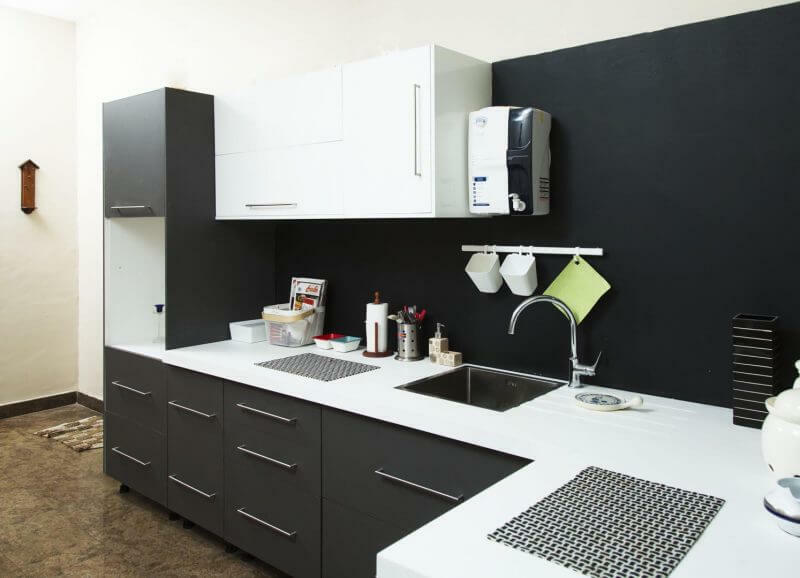 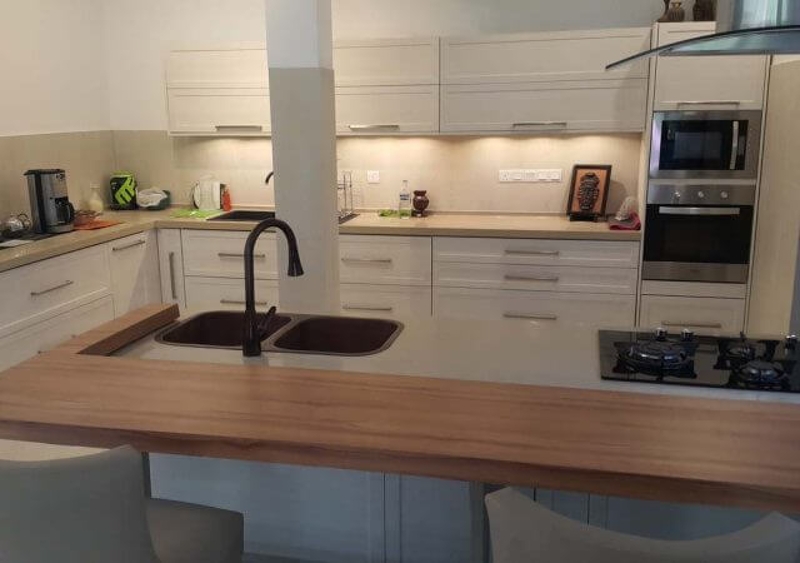 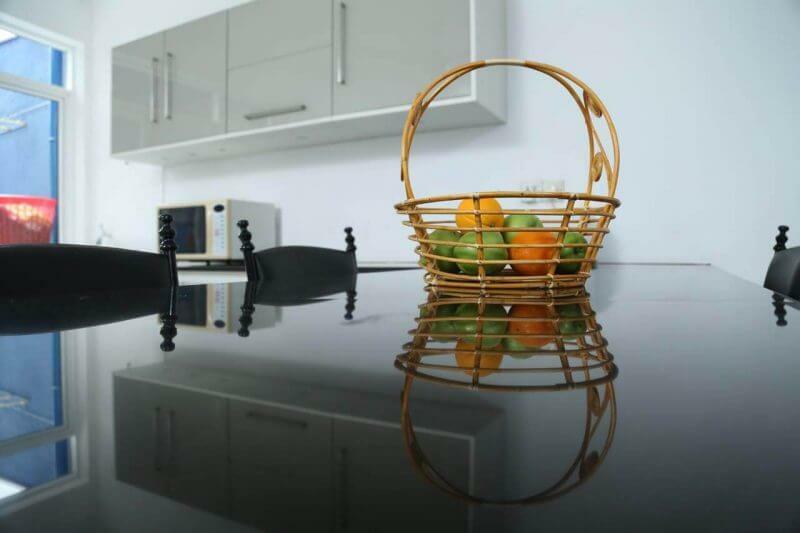 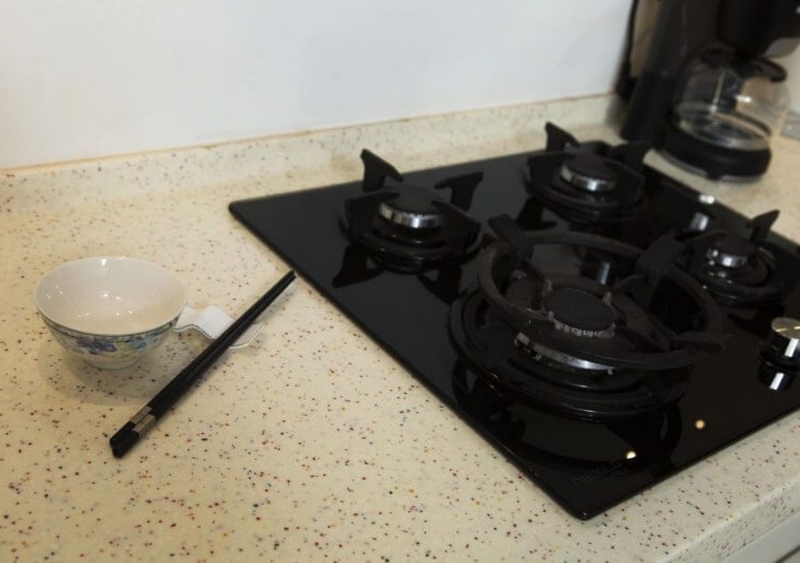 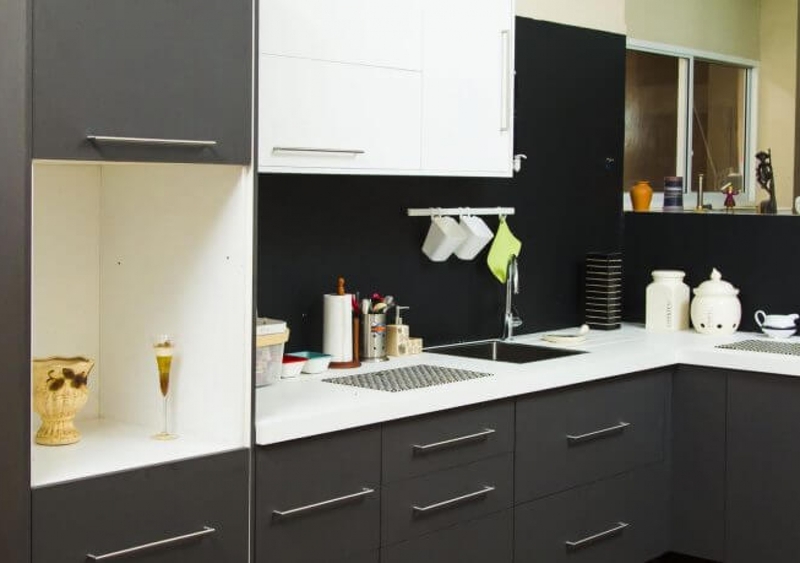 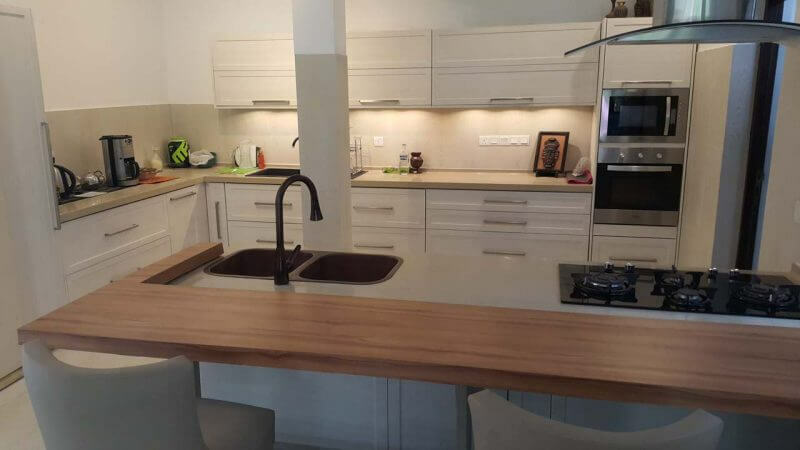 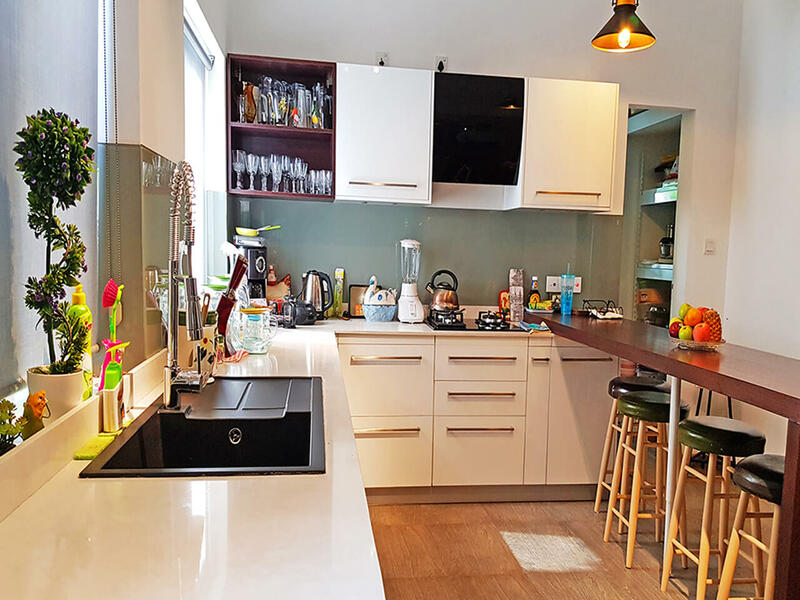 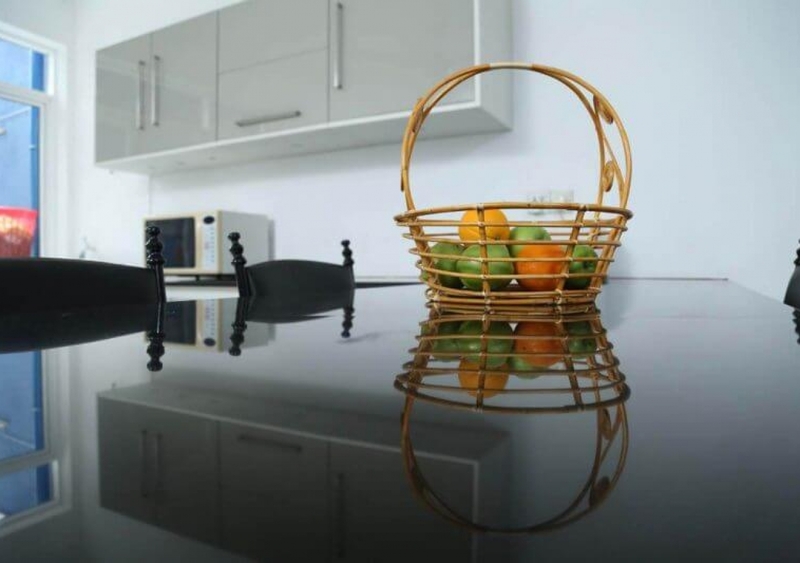 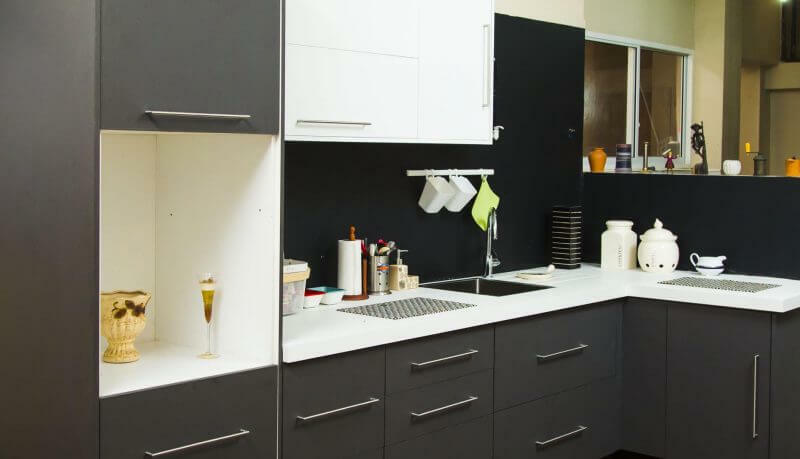 Seamless solid surface worktop for the kitchen and as well as for the breakfast table makes it a complete kitchen room. 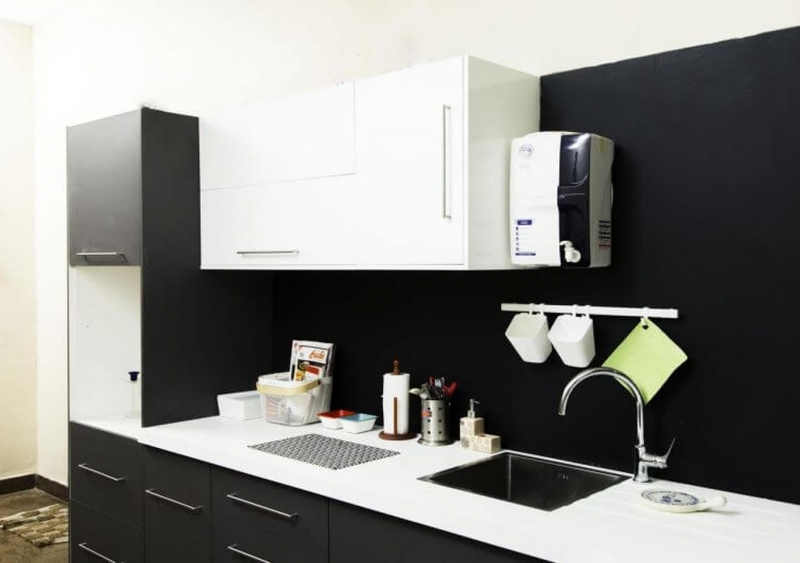 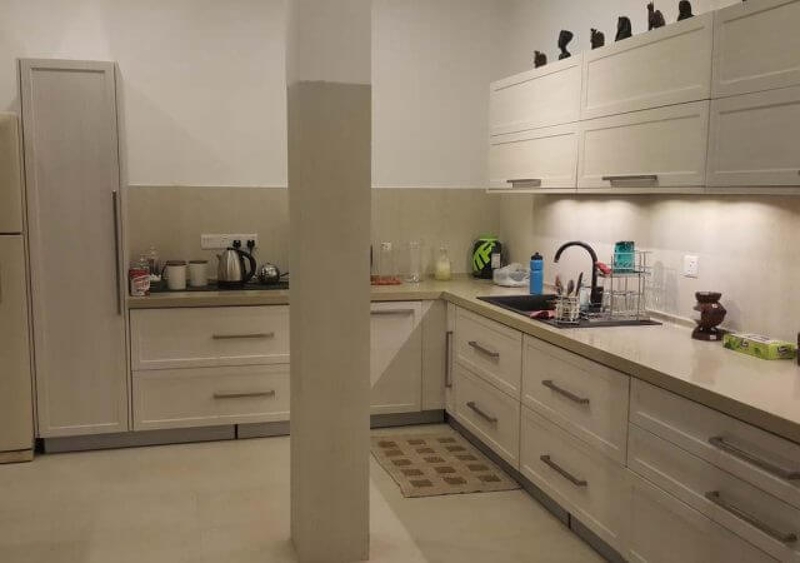 The proper colour matching has brought in the classy, sleek look to the whole kitchen set. 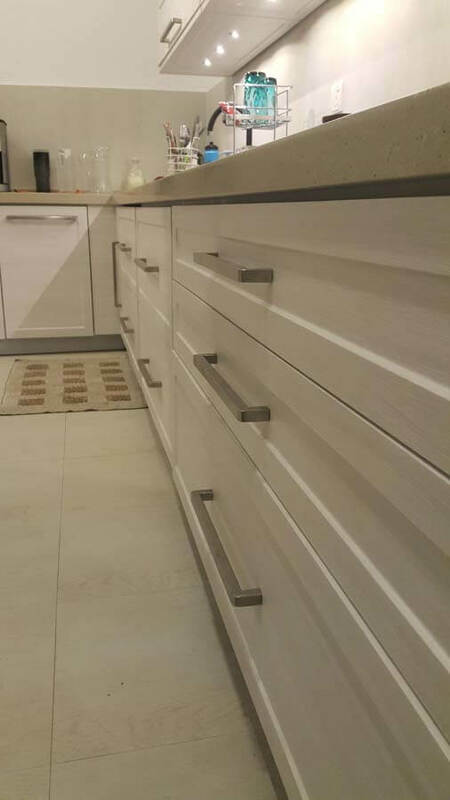 Plain but not boring at all. 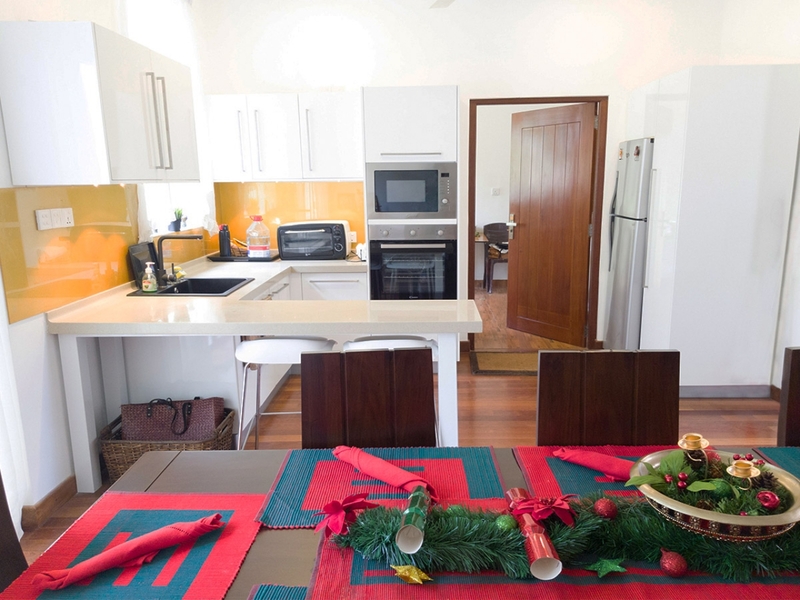 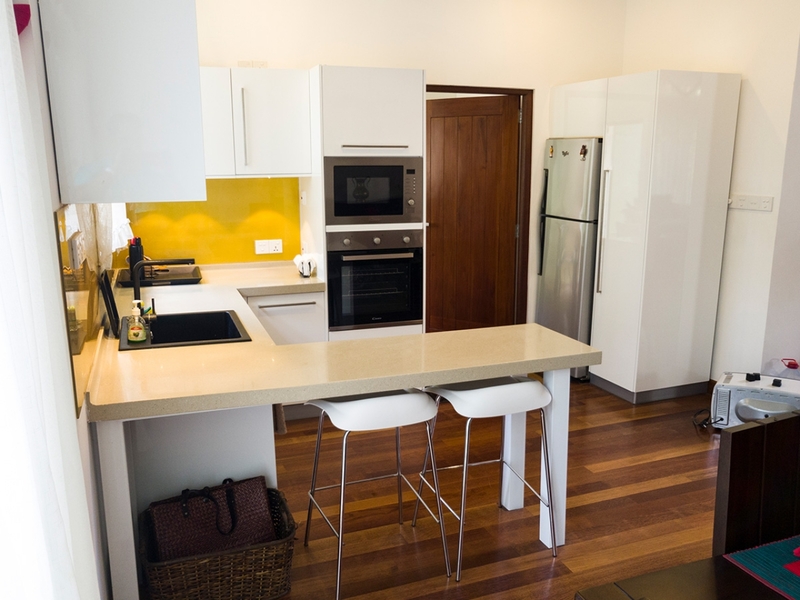 Easy on the eye and certainly a place you want to spend time cooking, eating or chatting with friends and family. 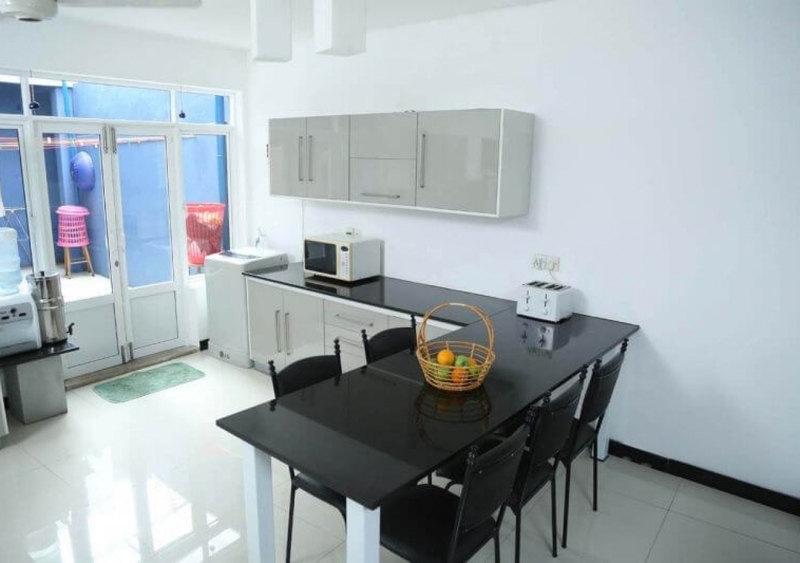 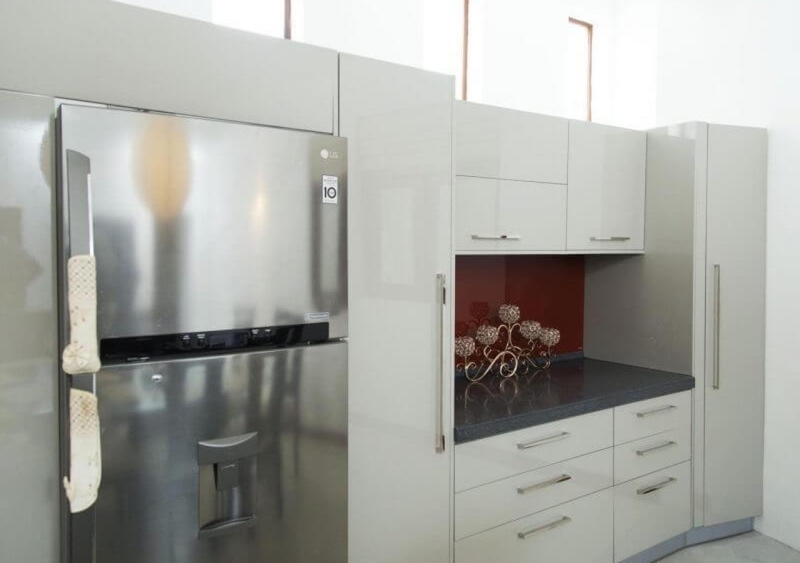 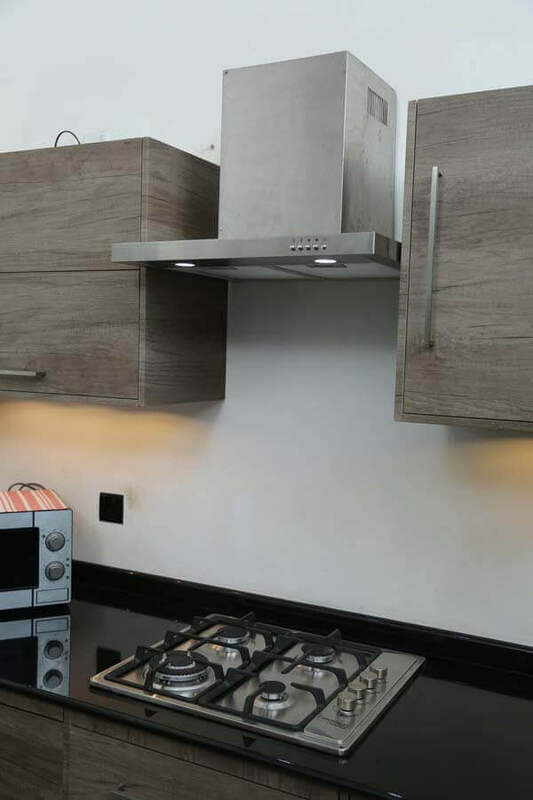 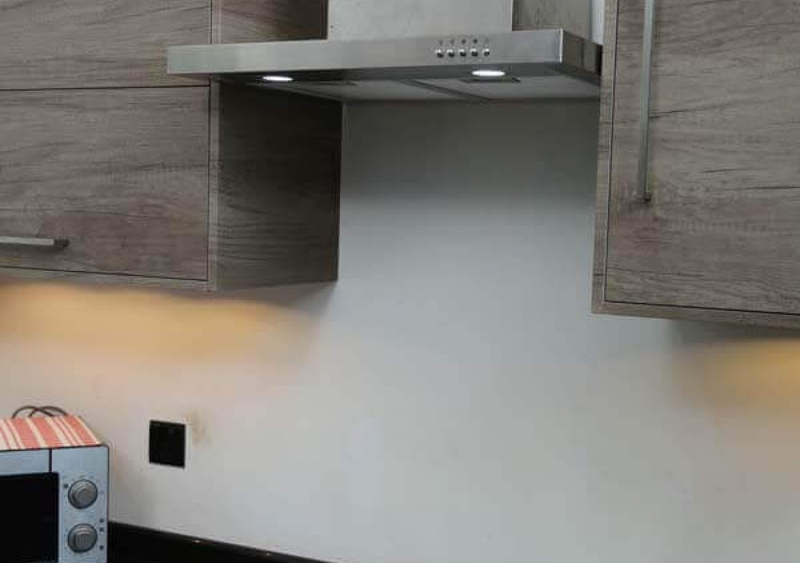 The grey splashback makes it easier to clean and compliments the high gloss white outlook of the entire kitchen. 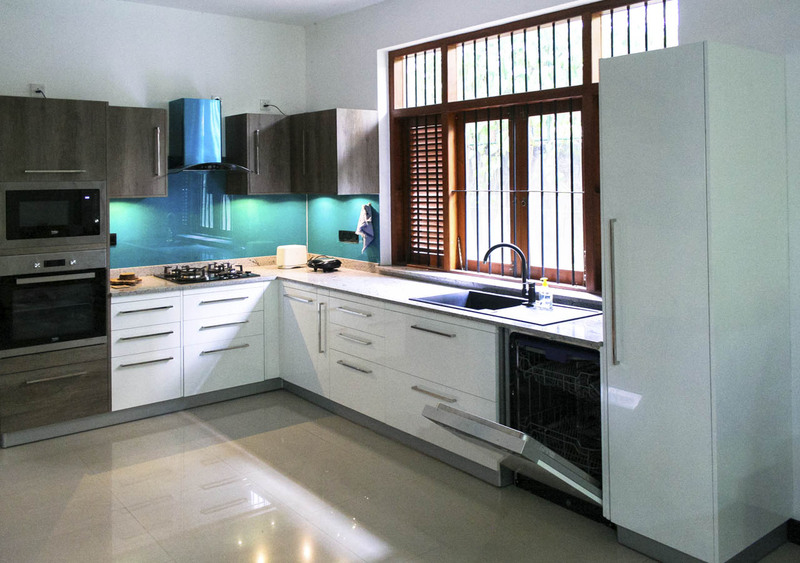 Designed traditionally the modern kitchen shown in below images is a class of it’s own. 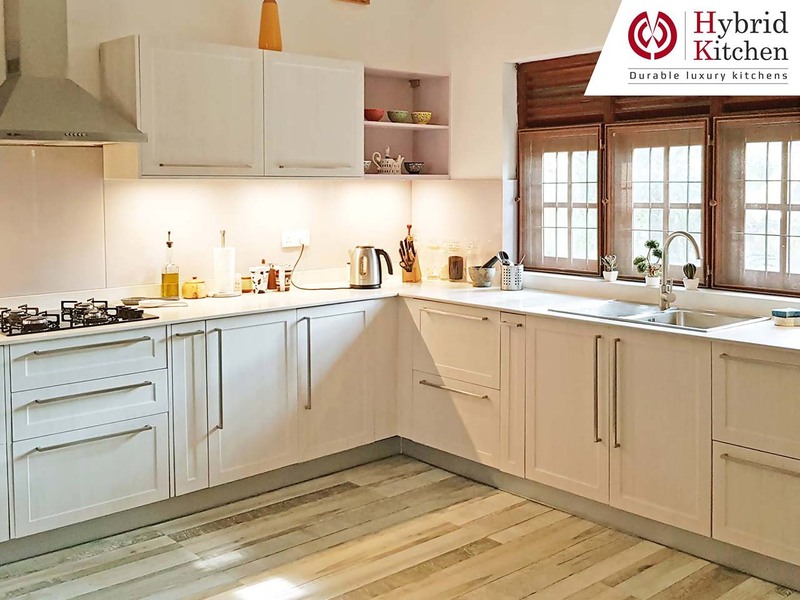 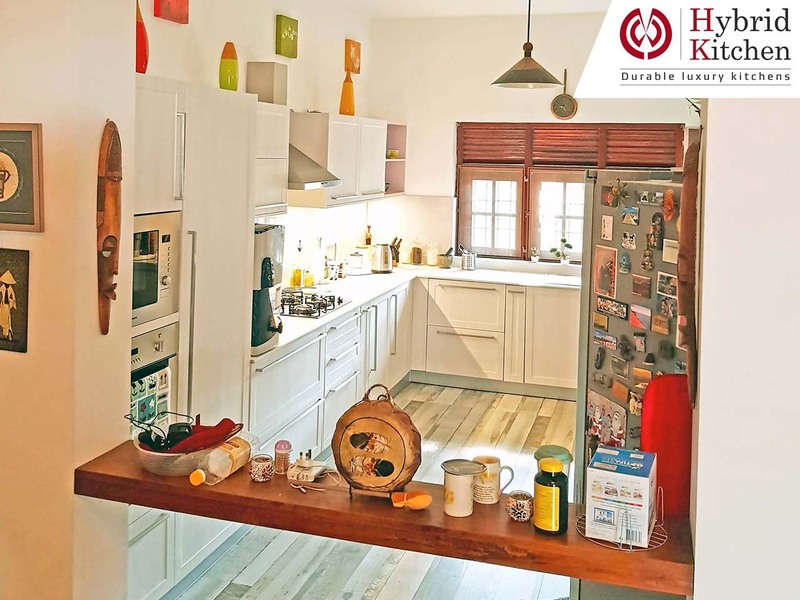 Soothing on the eye, the kitchen brings the homeliness to you as soon as you set your eyes on it. 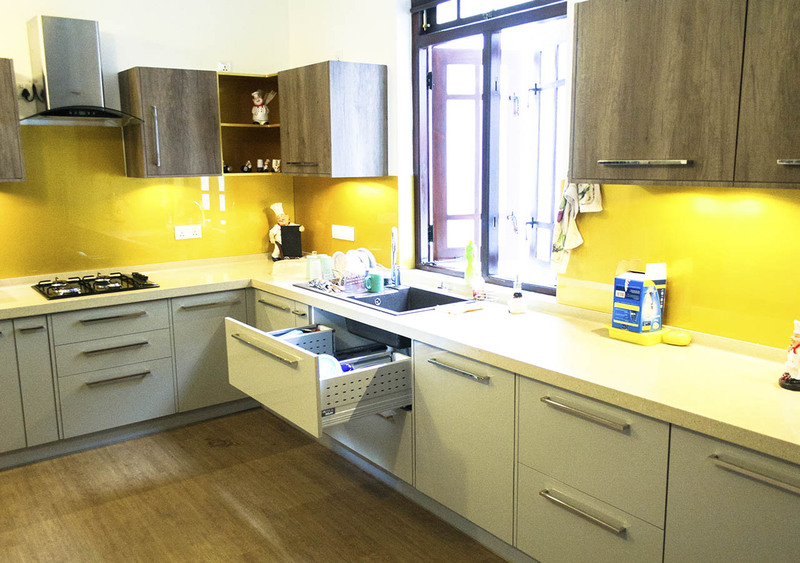 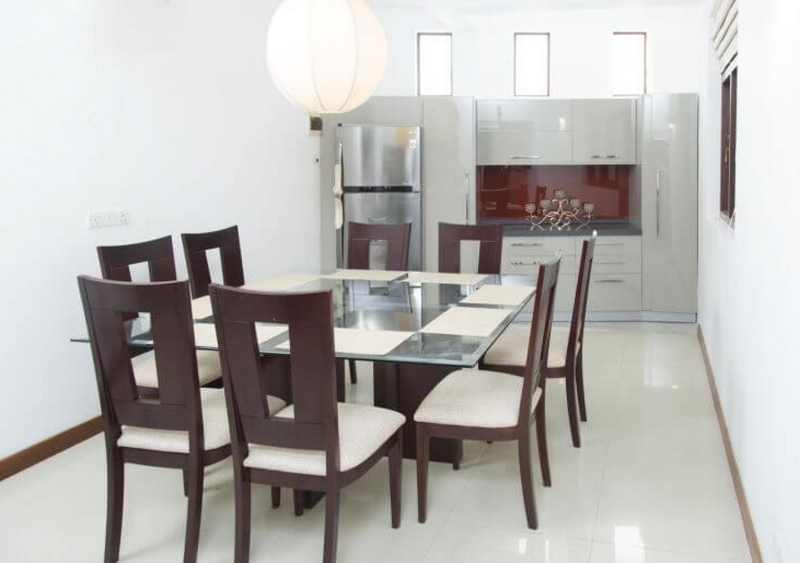 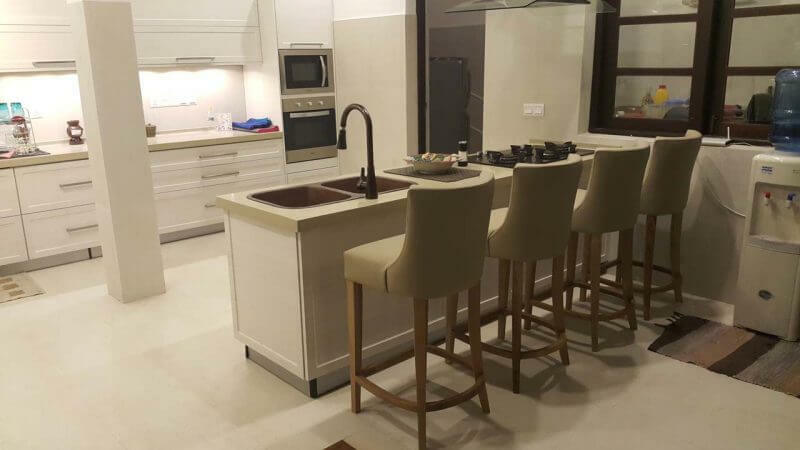 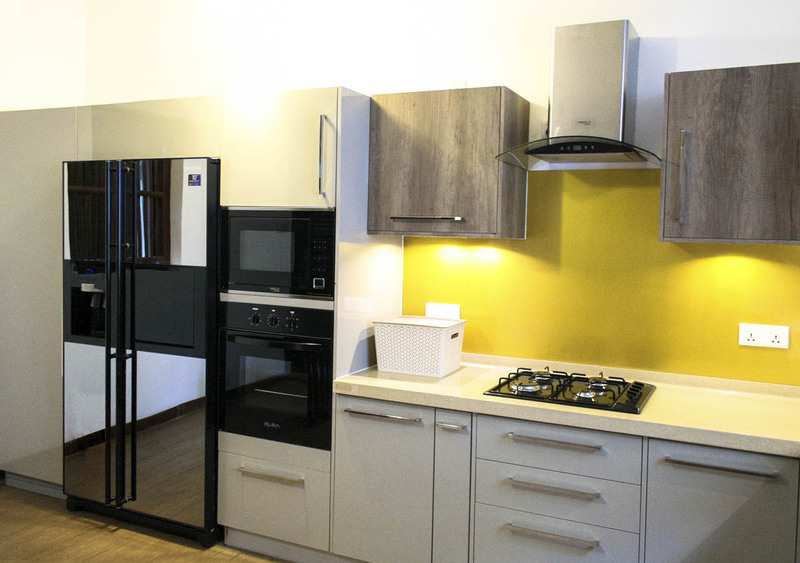 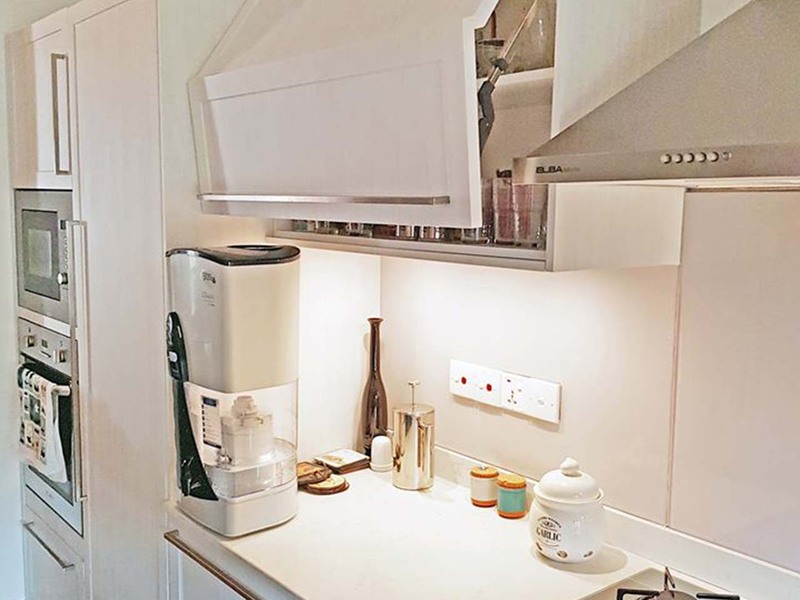 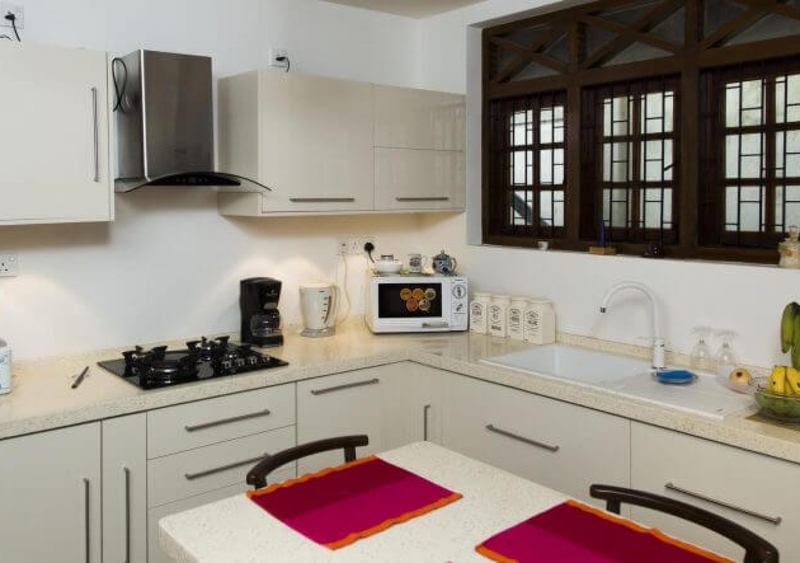 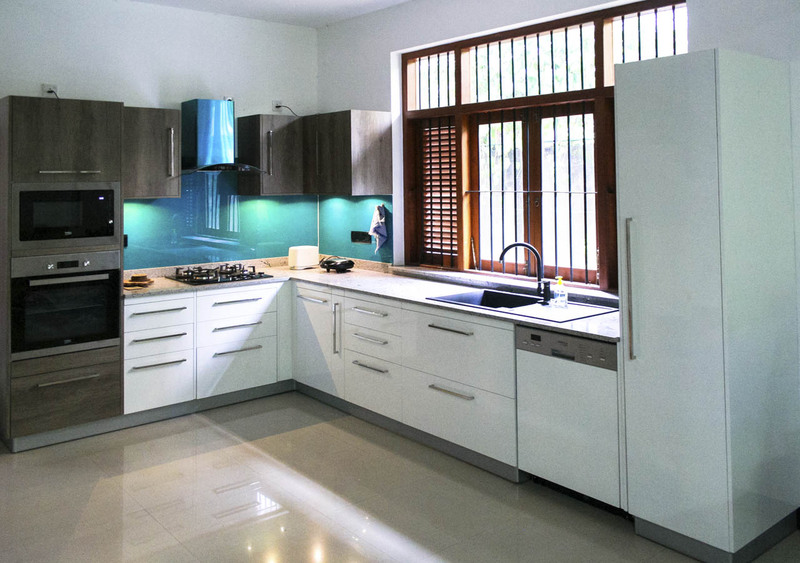 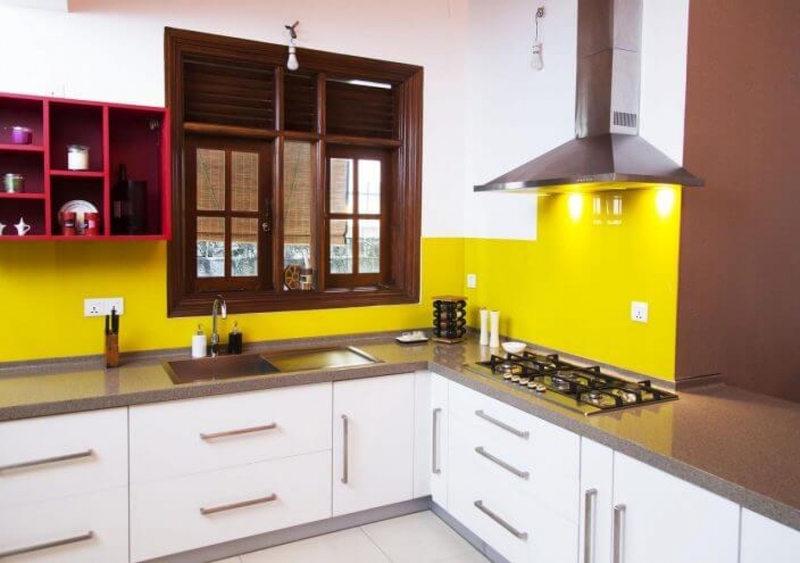 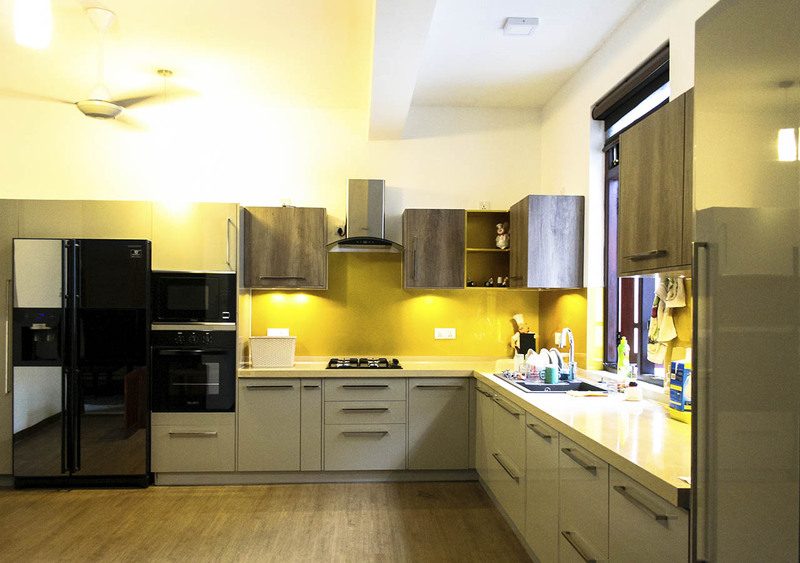 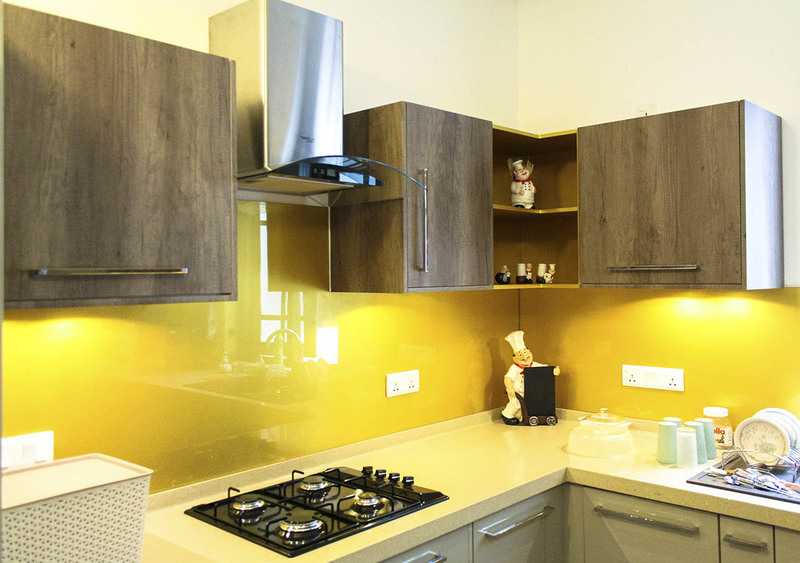 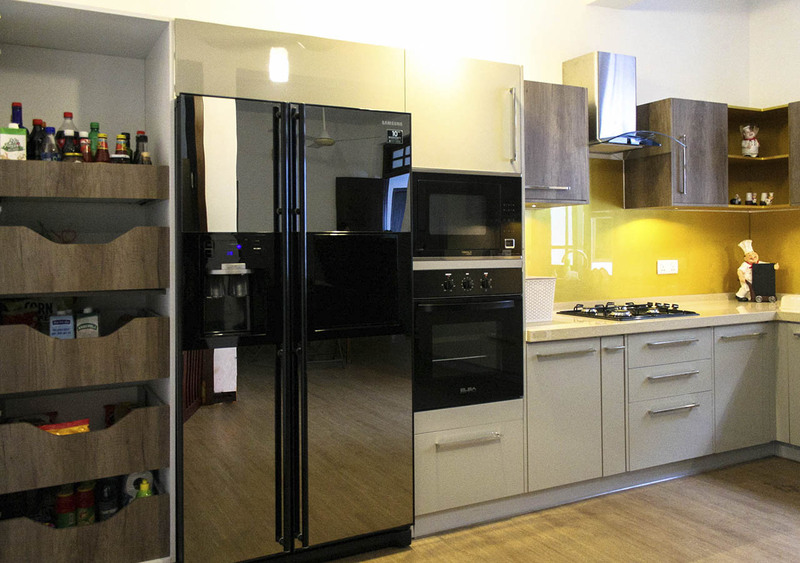 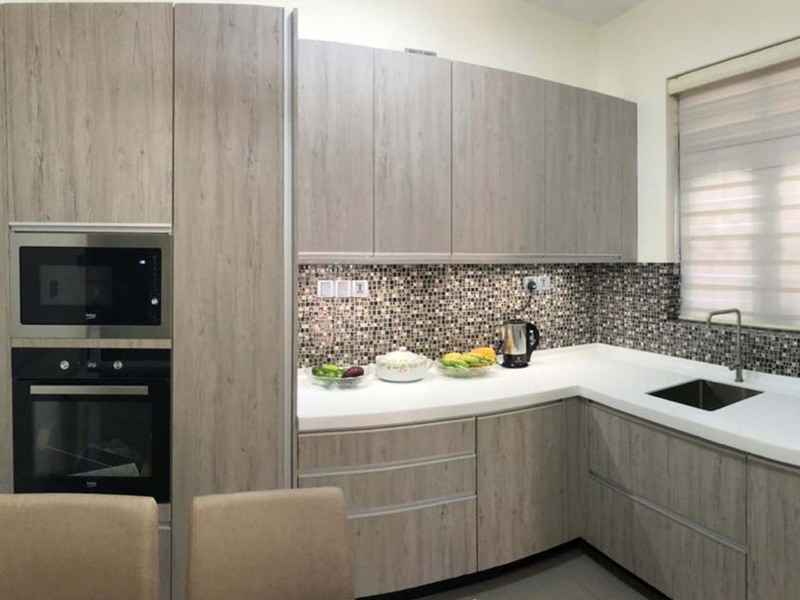 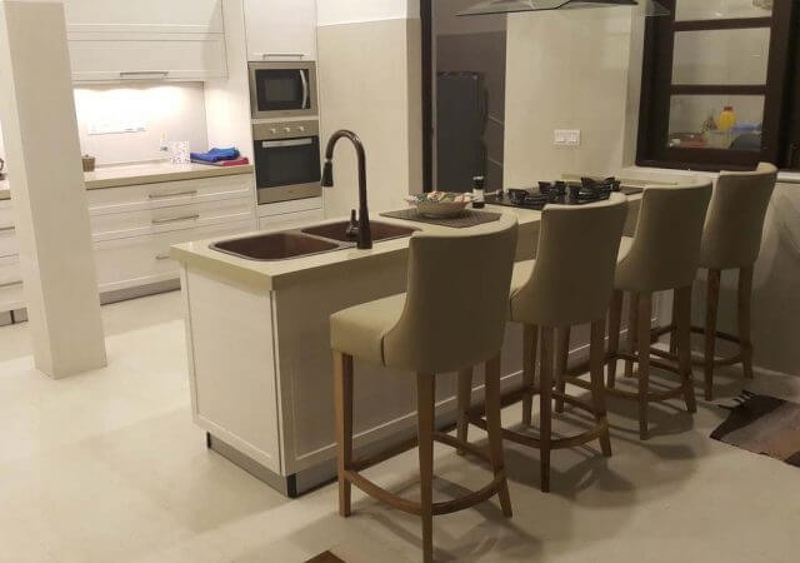 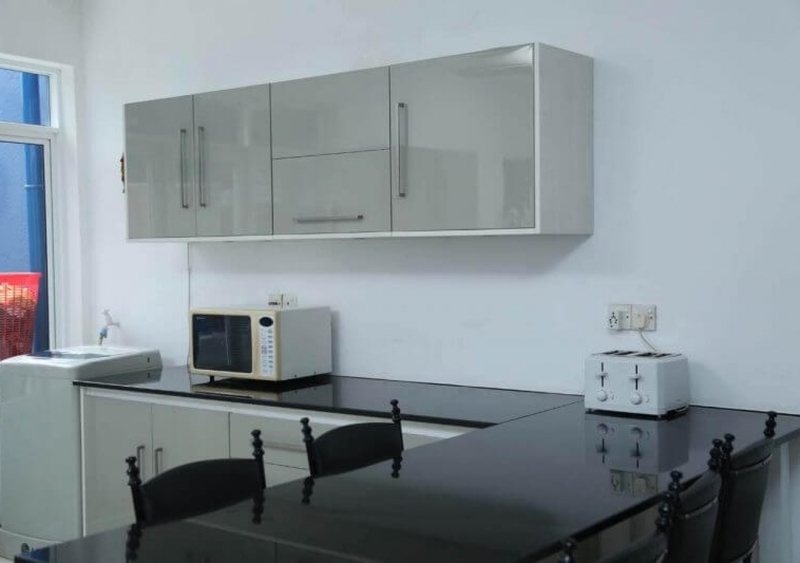 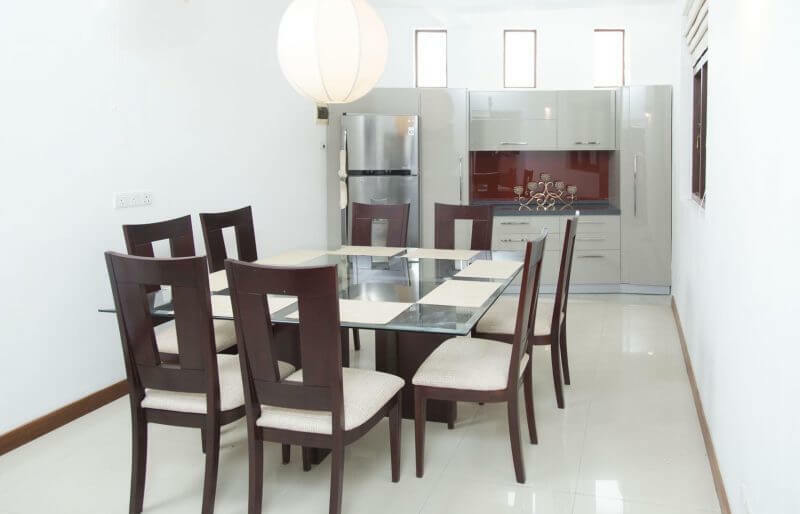 Equipped with the latest and stylish appliances and hardware the kitchen is a pure luxury solution. 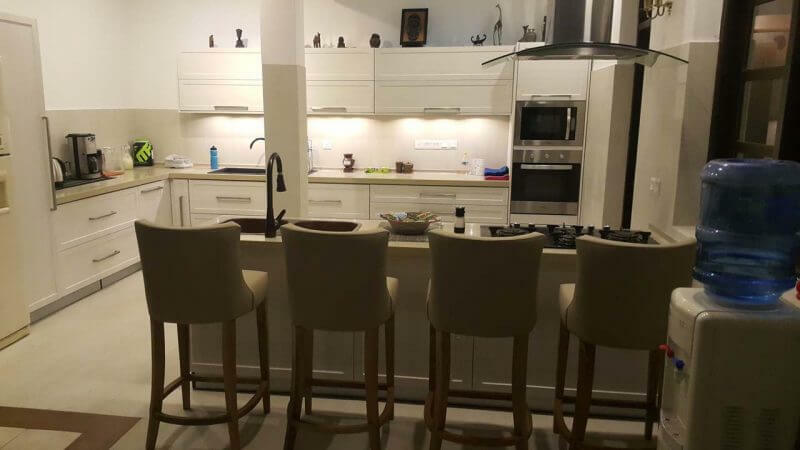 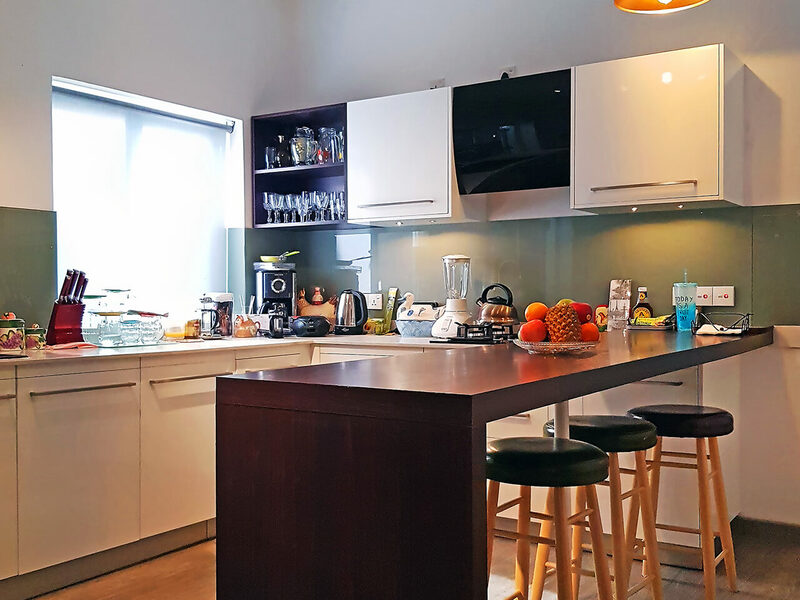 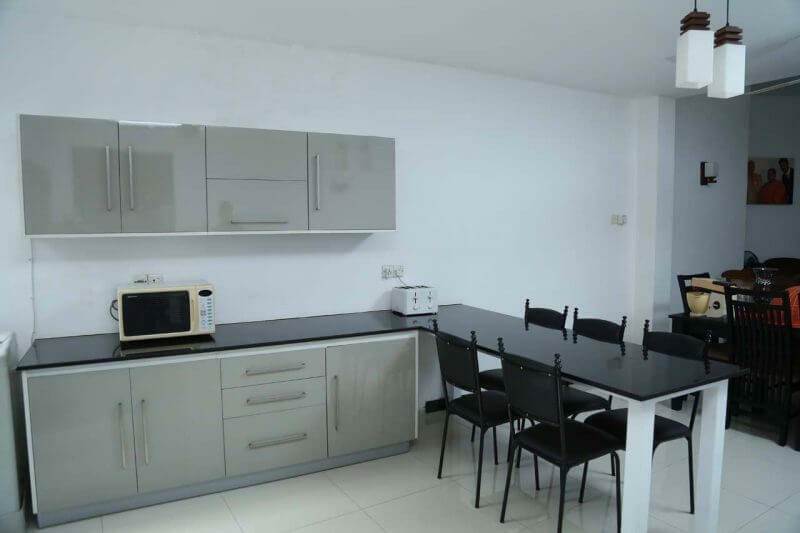 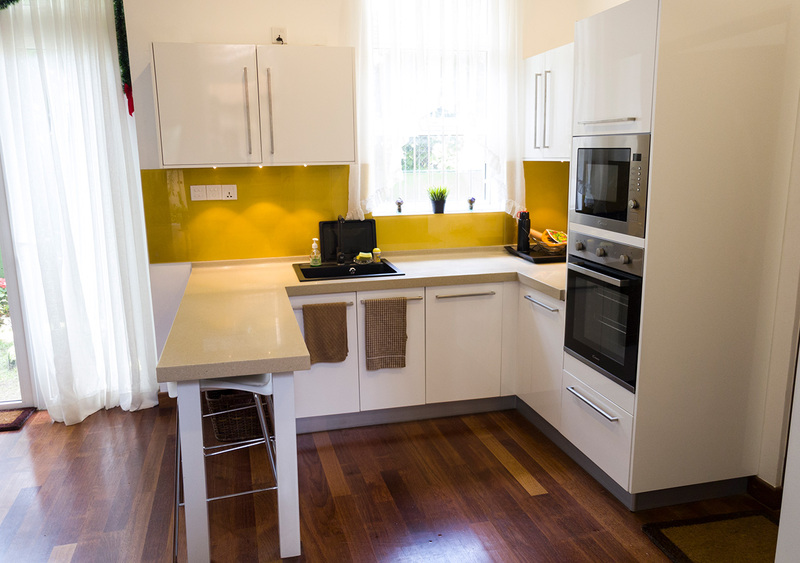 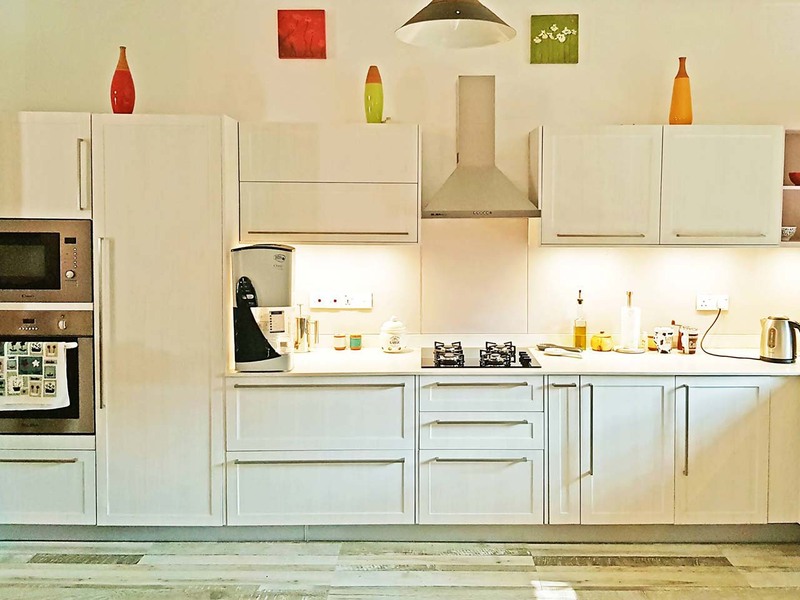 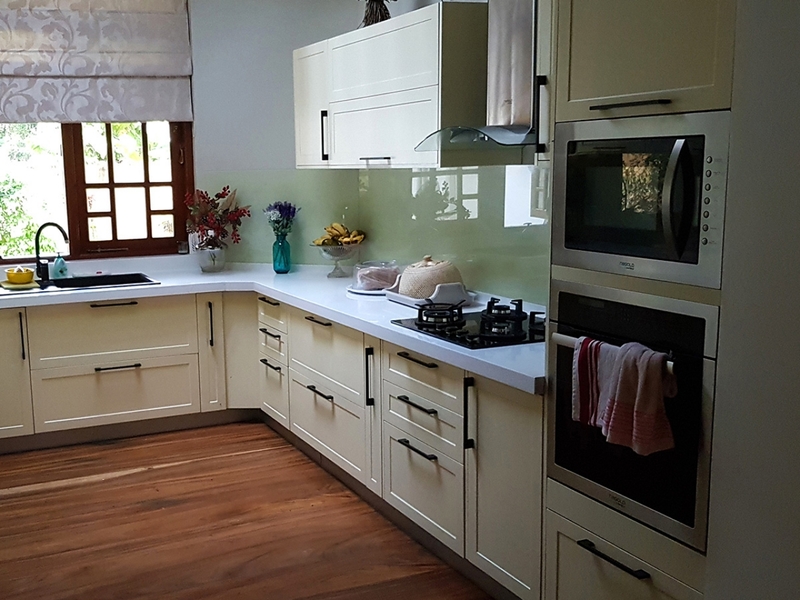 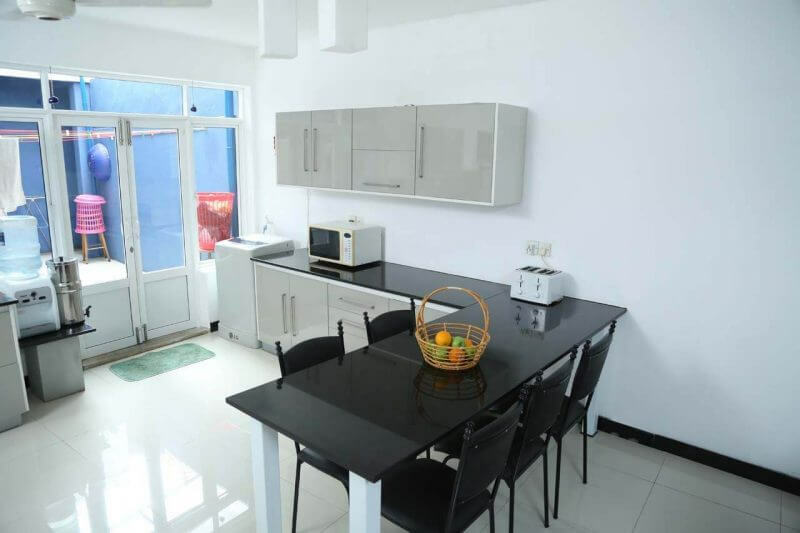 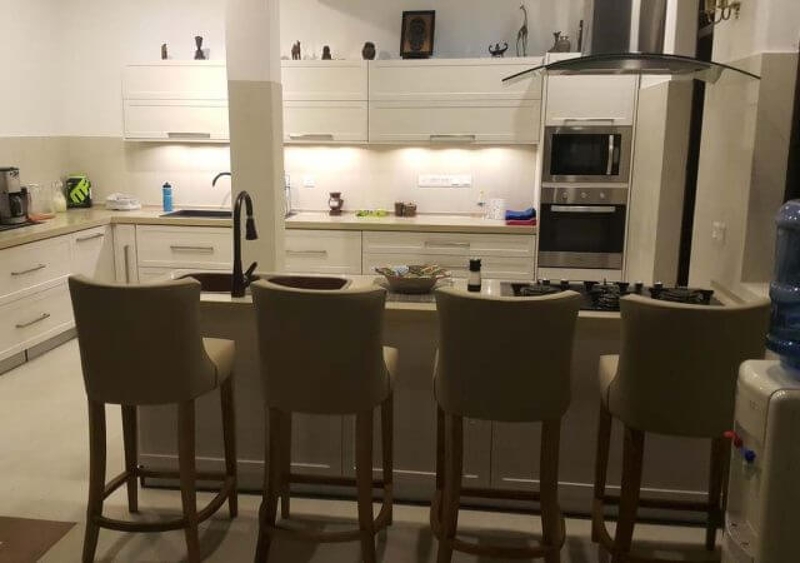 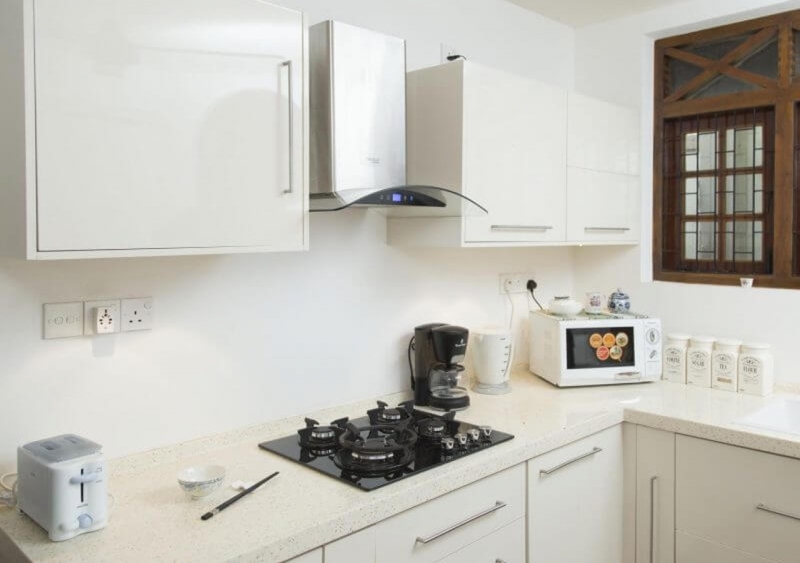 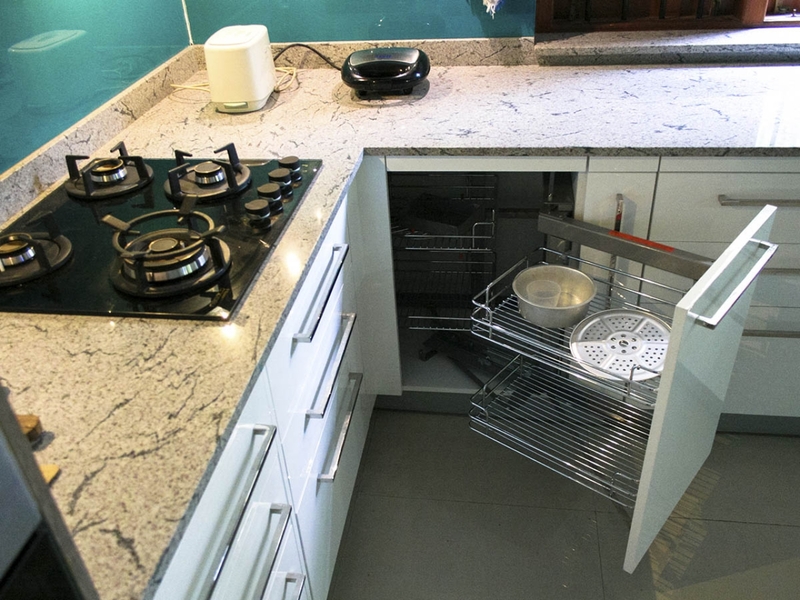 This small size modern high gloss white kitchen setup is ideal for a family sized kitchen to do your baking and breakfast. 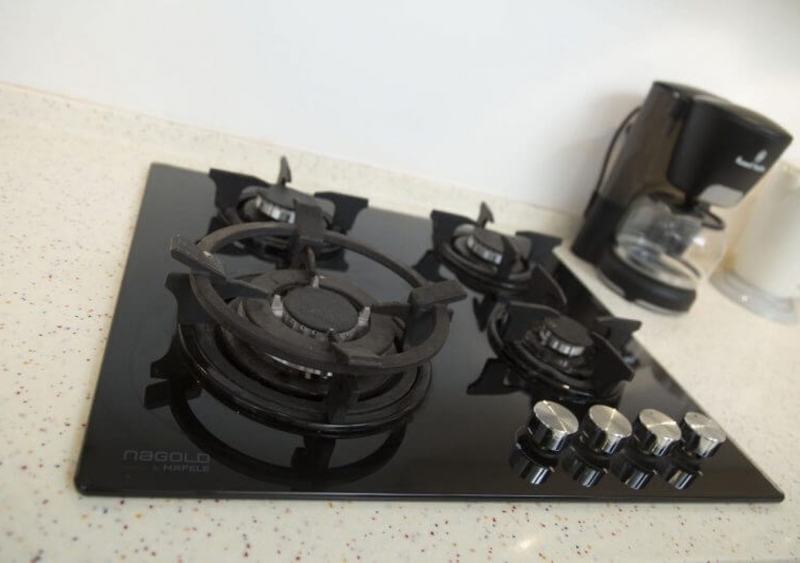 There was no hob incorporated since the cooking takes place elsewhere. 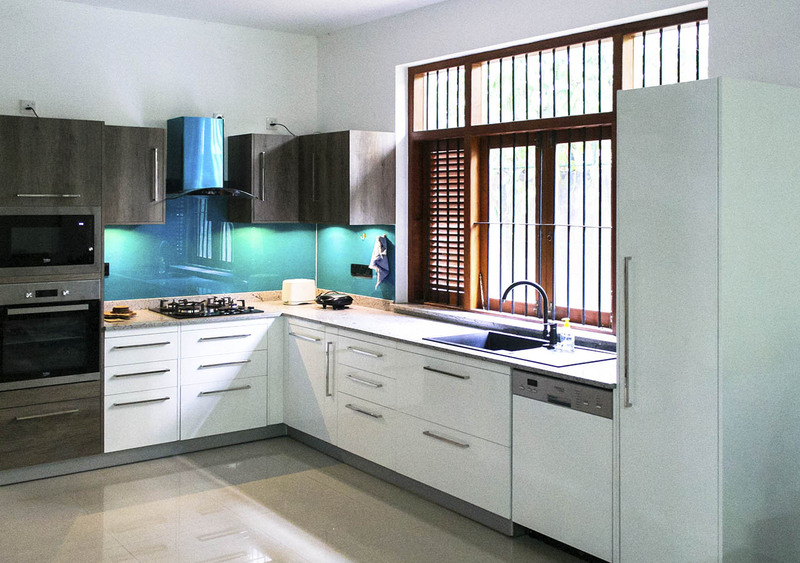 Simple but yet elegant this kitchen will no doubt will lighten up your home. 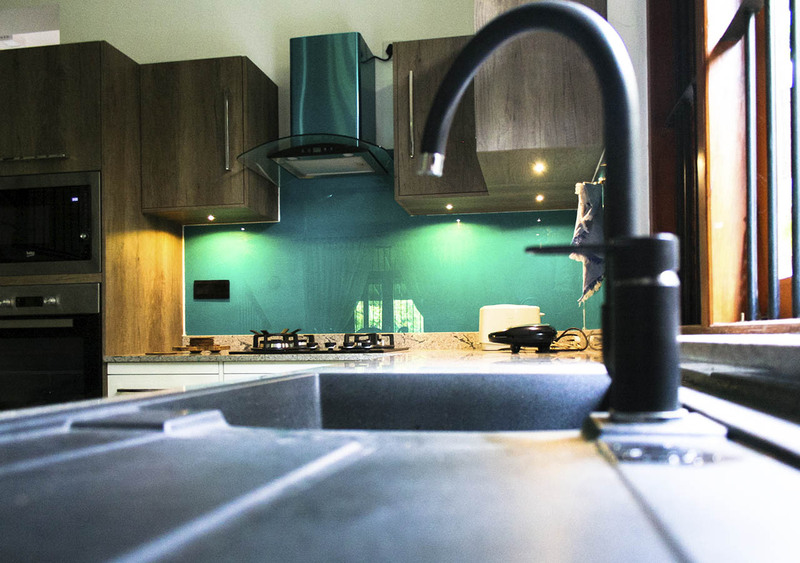 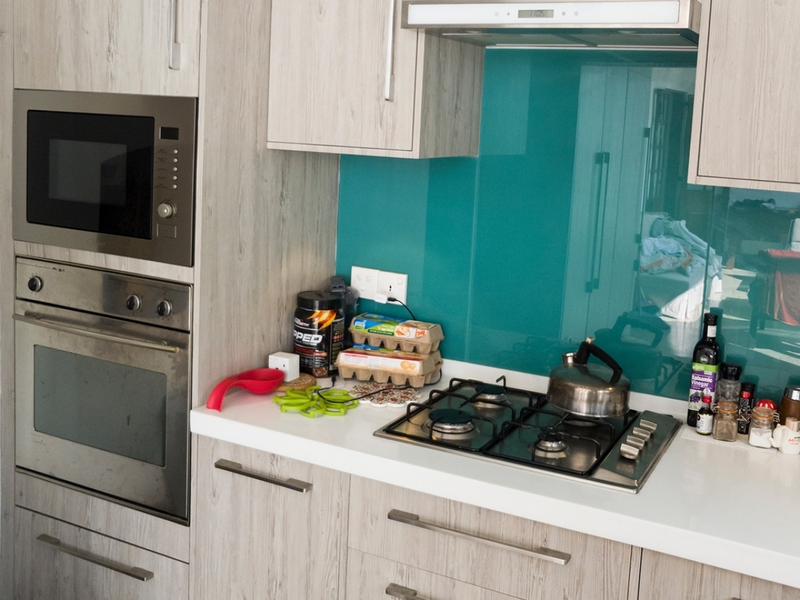 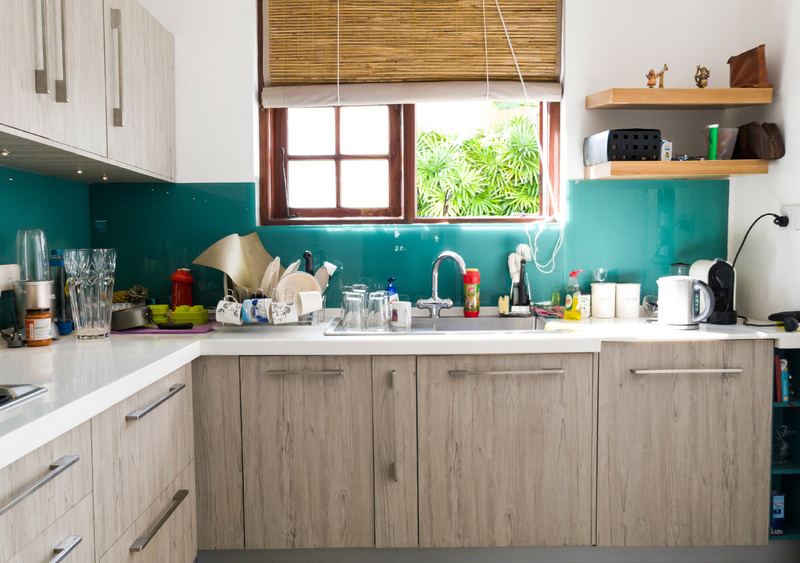 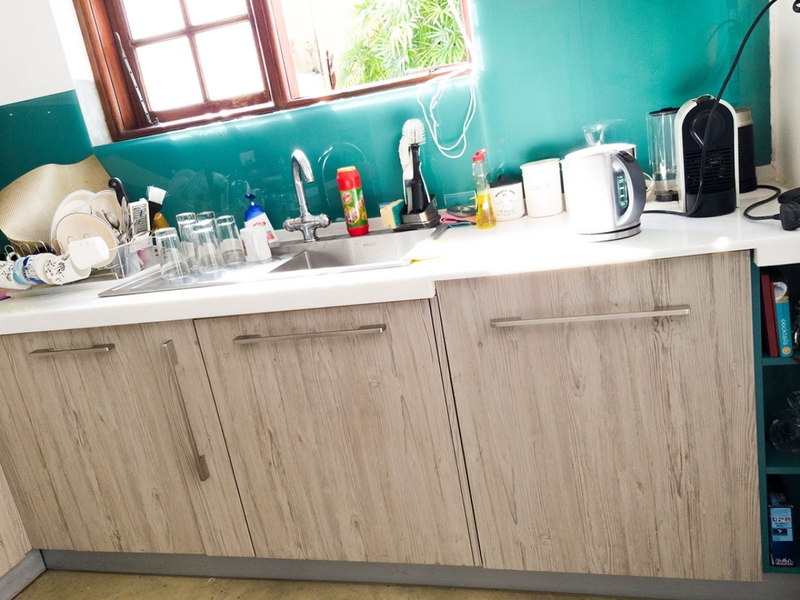 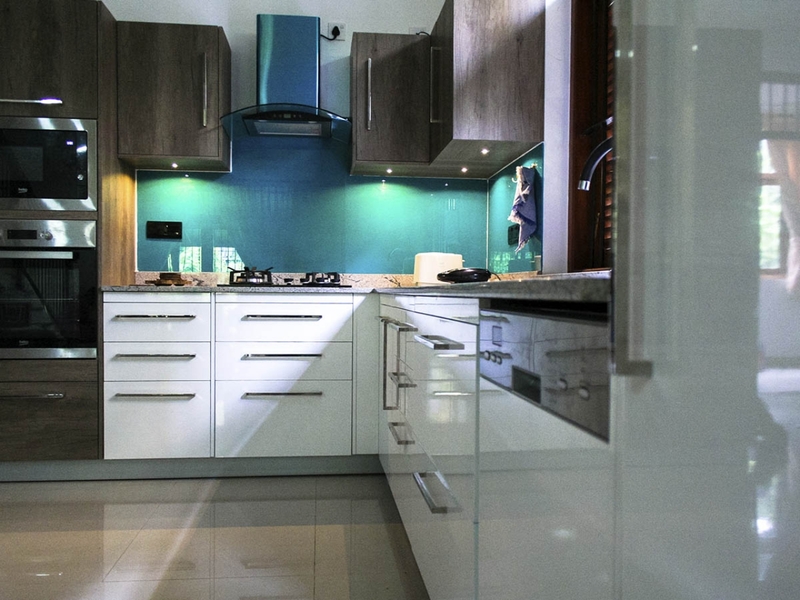 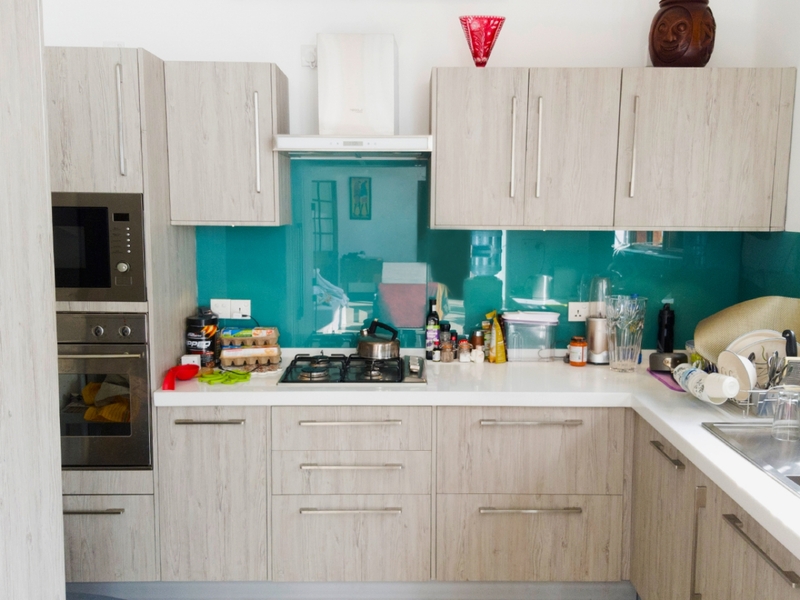 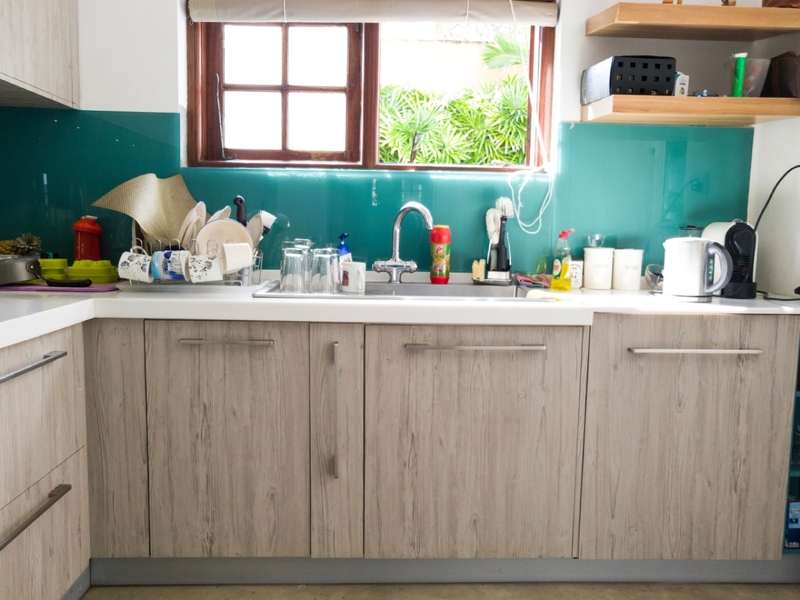 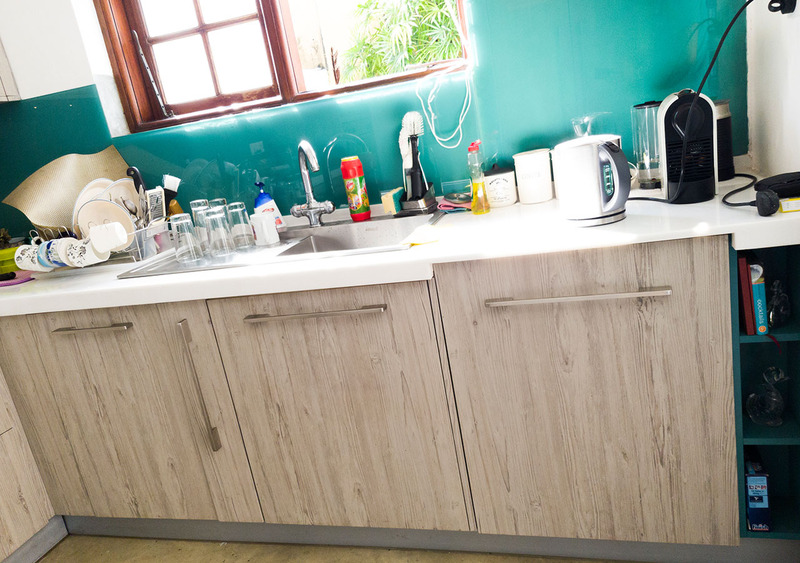 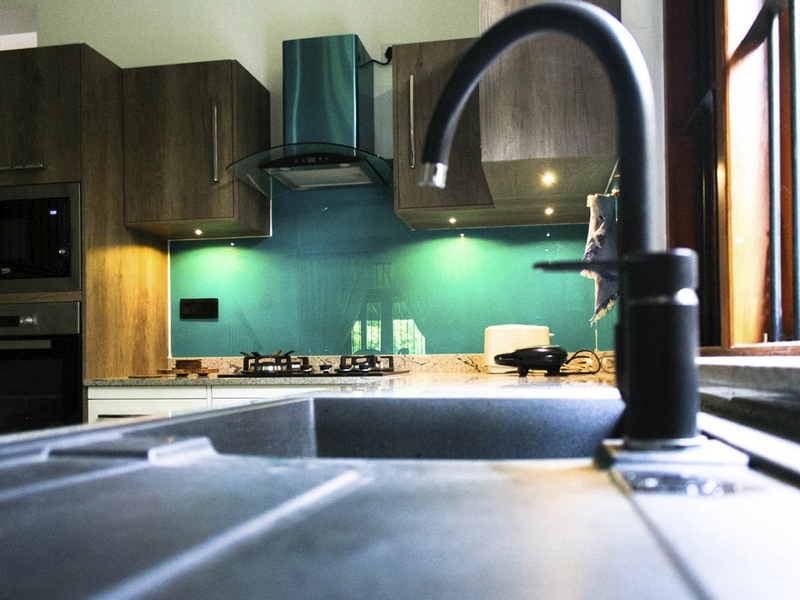 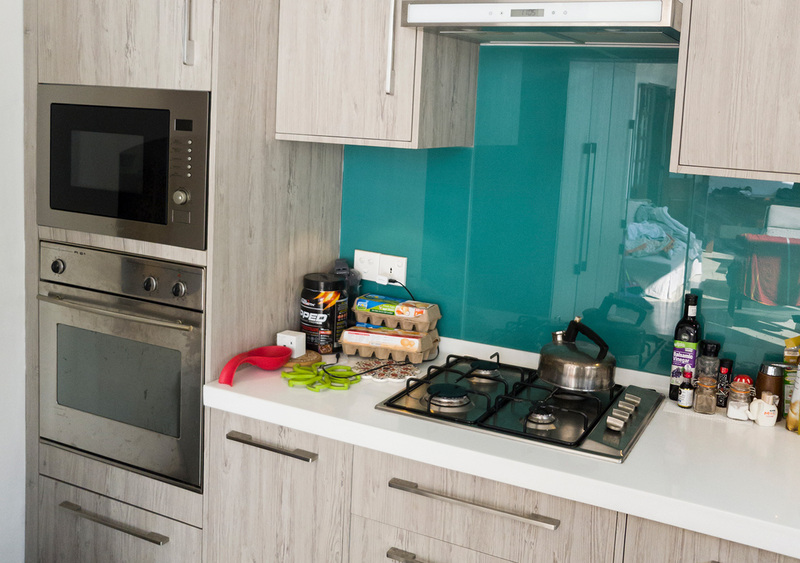 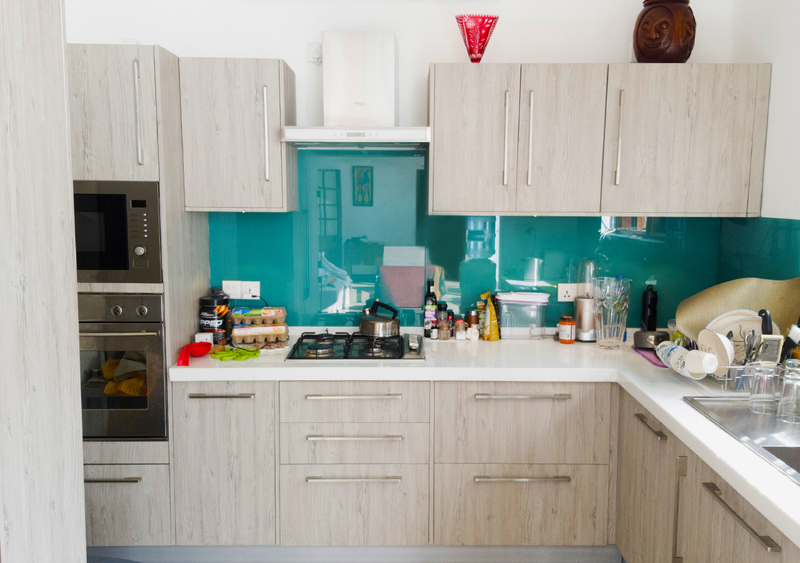 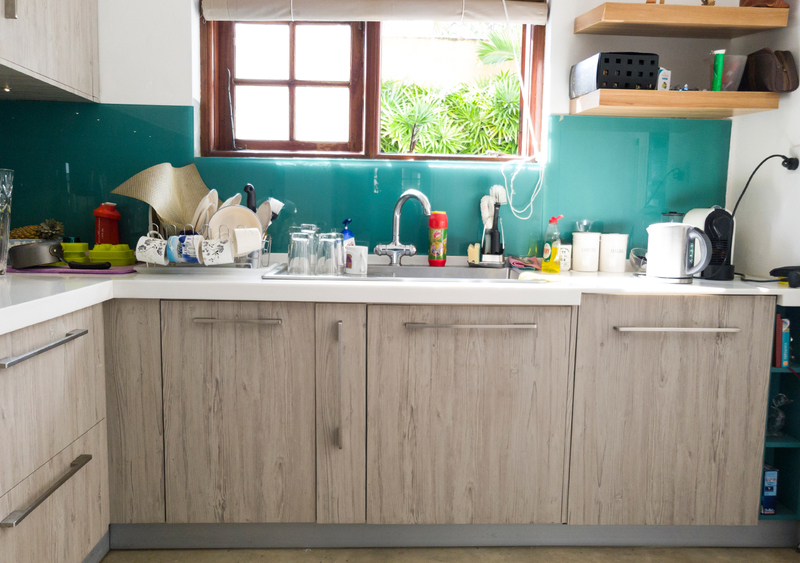 The best way to make your kitchen colourful if you live by the beach or if your kitchen is by the pool is to add in a little touch of turquoise. 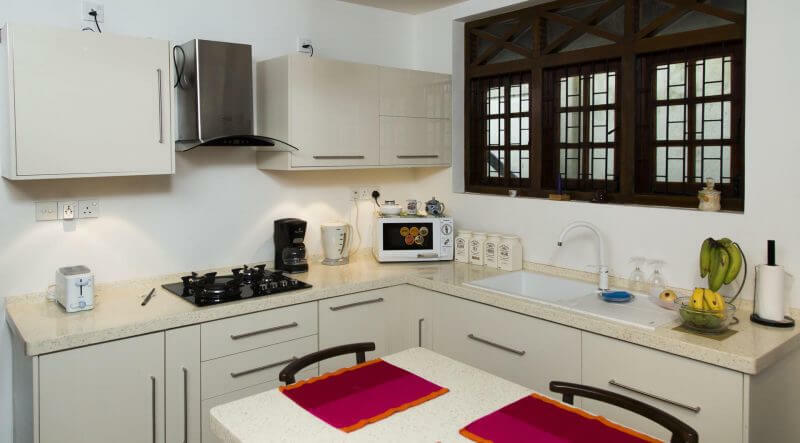 This tropical kitchen setup stands out beautifully by the pool side and brings out the pure designer aspect of a modern kitchen concept. 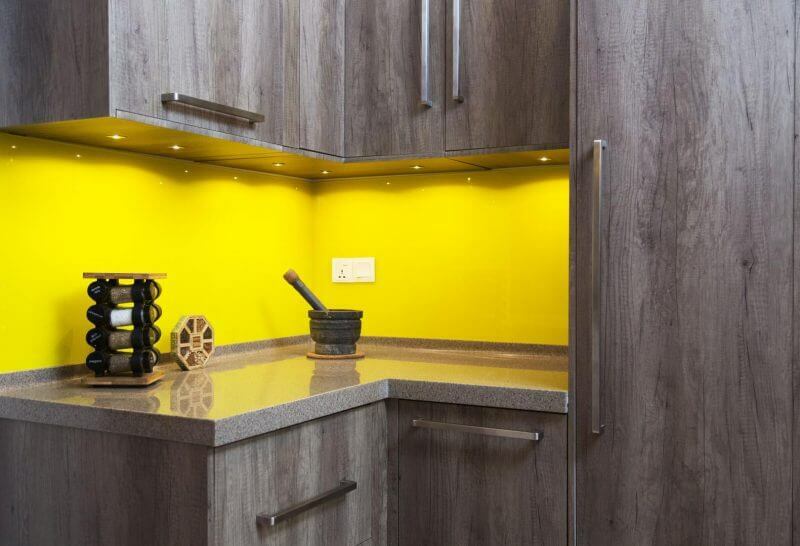 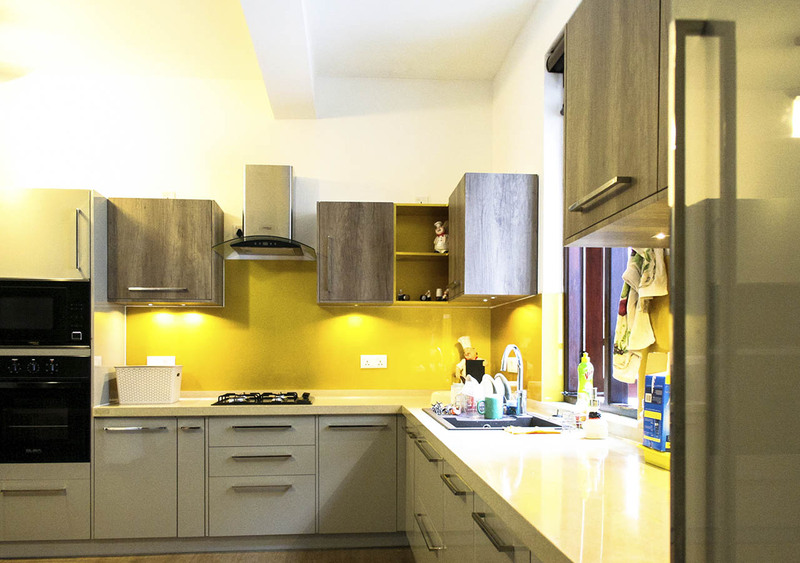 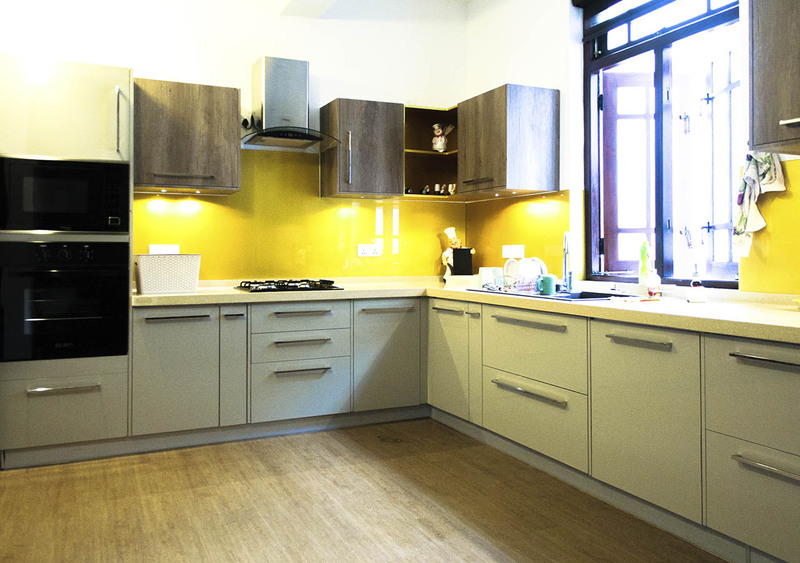 High gloss coffee colour blending into the wood whilst the golden splashback shimmering in the background. 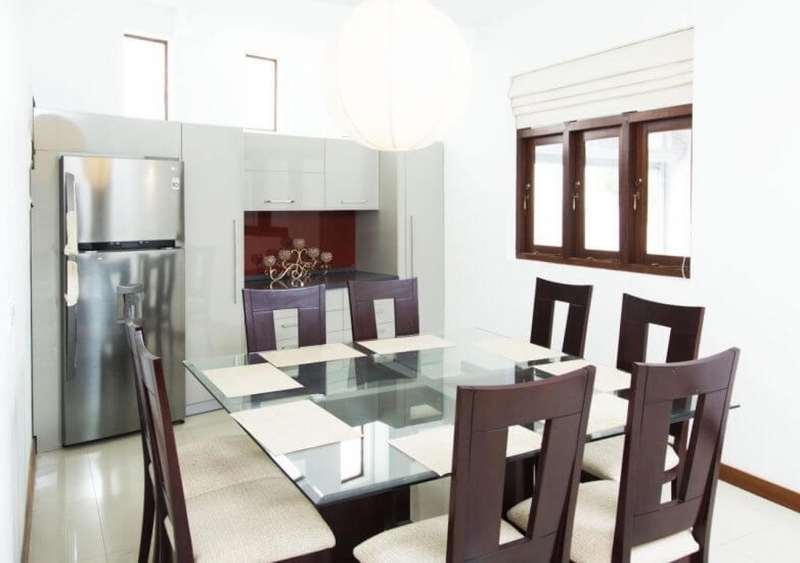 Suitable for someone who seeks the wild wild west. 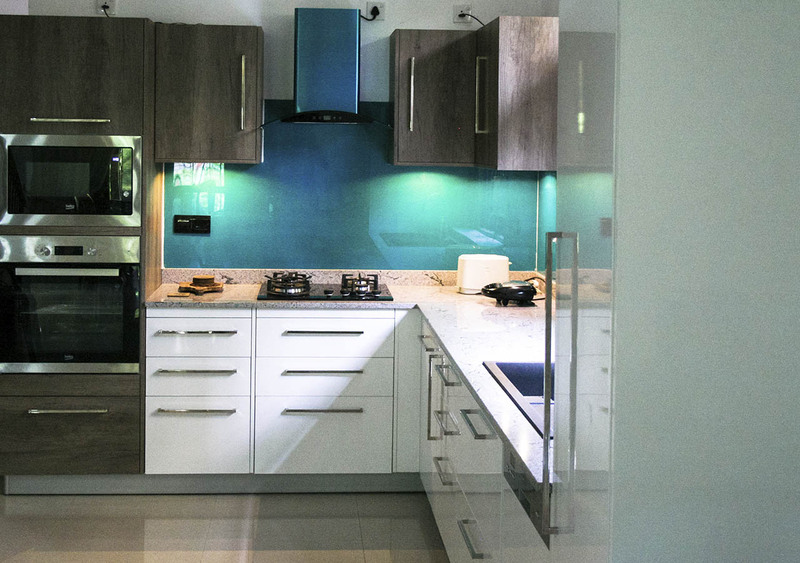 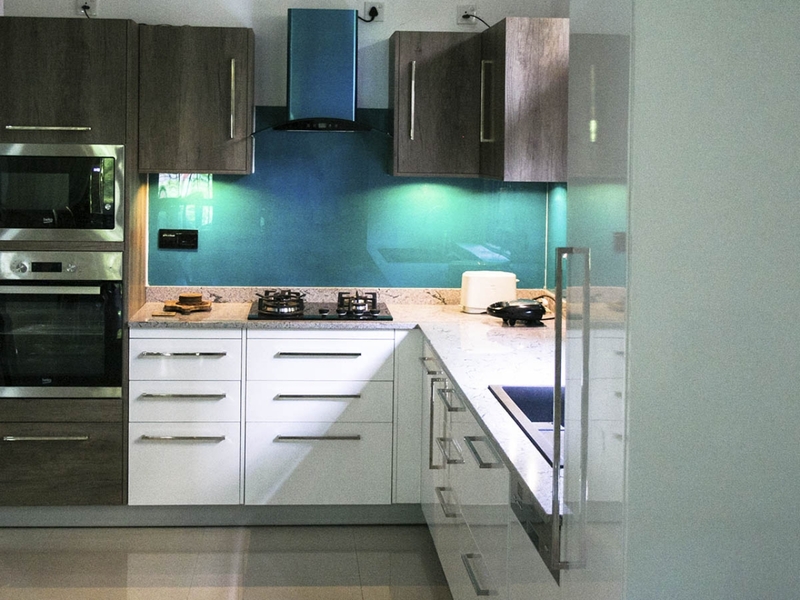 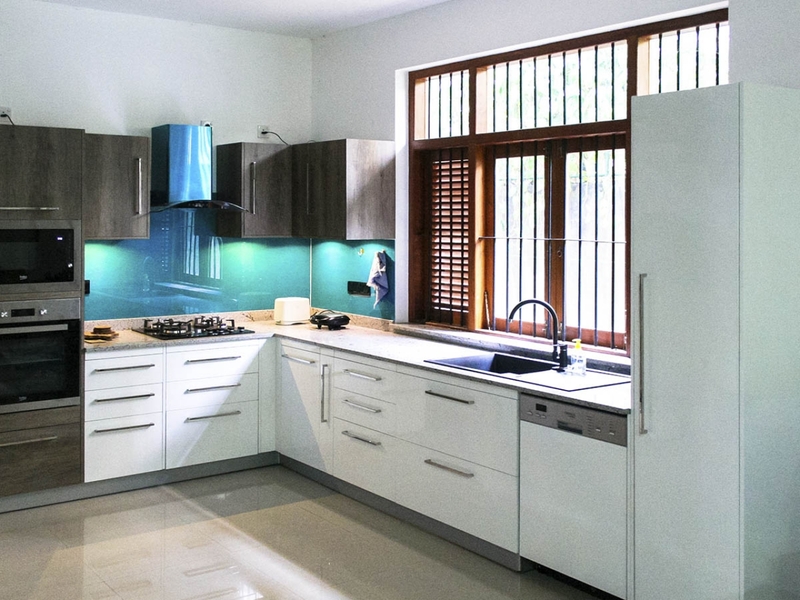 Modern turquoise makes it quite an European concept with the high gloss white. 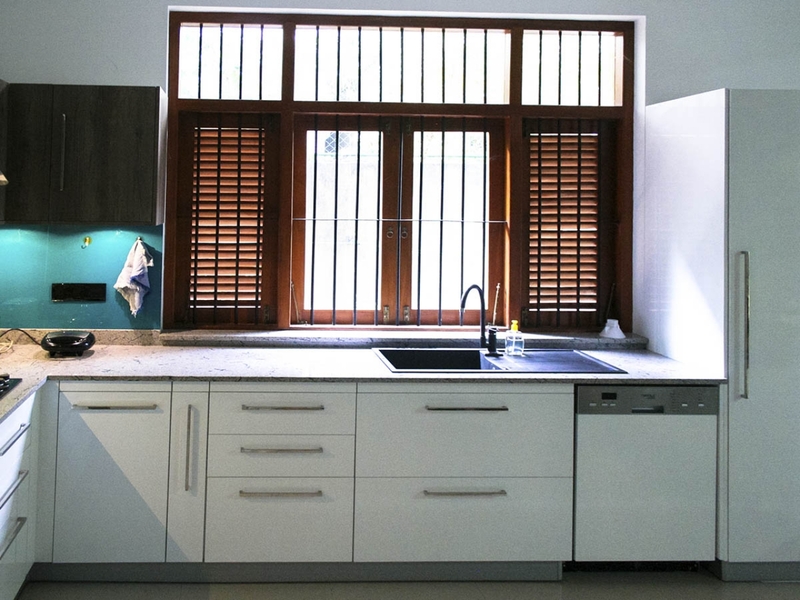 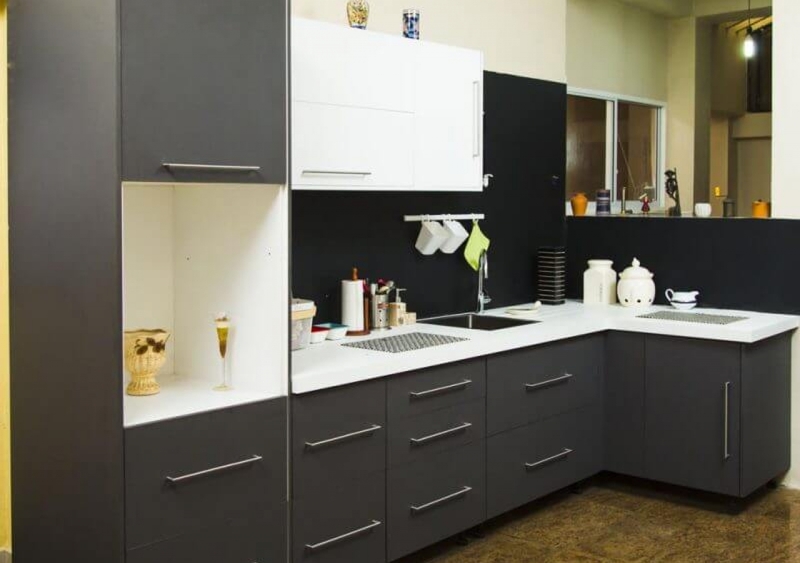 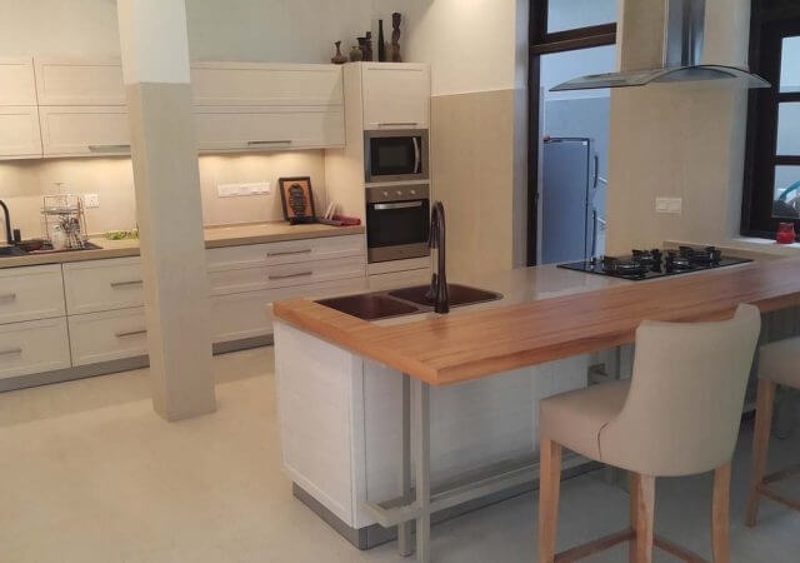 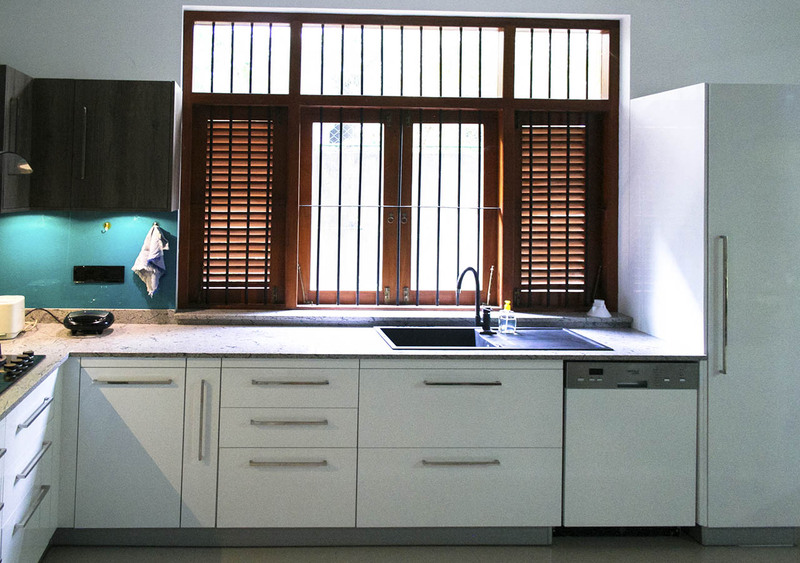 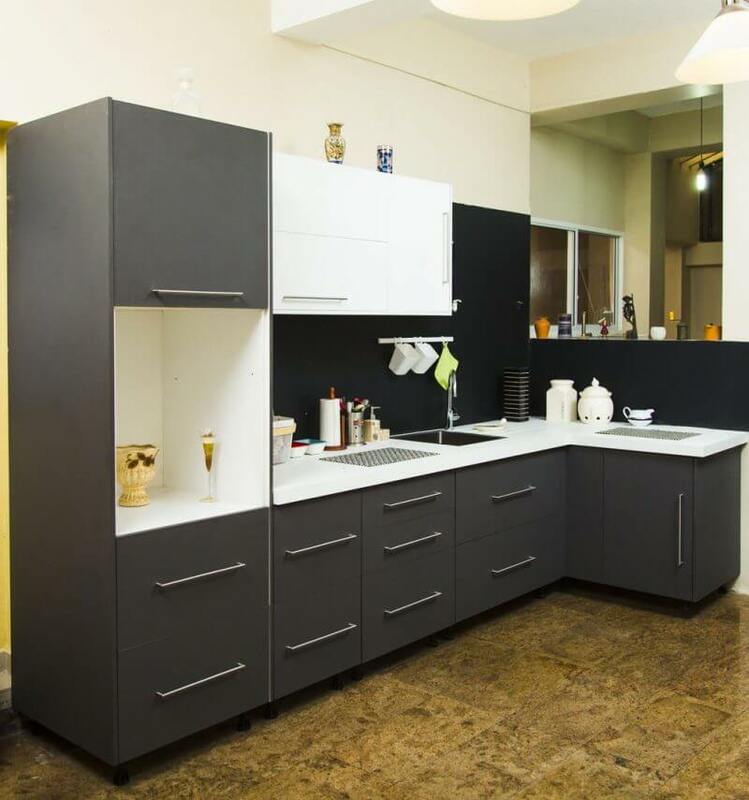 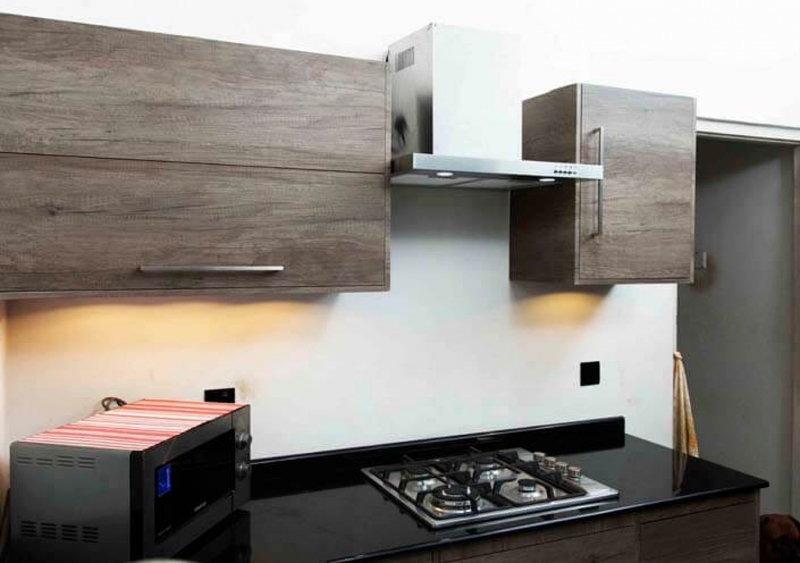 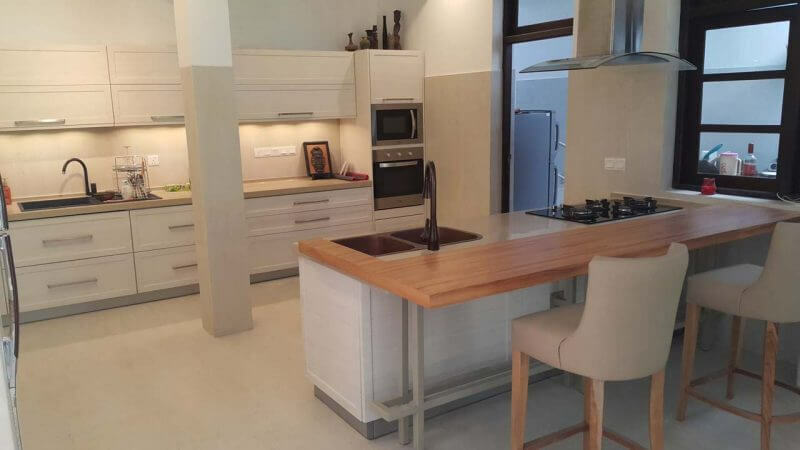 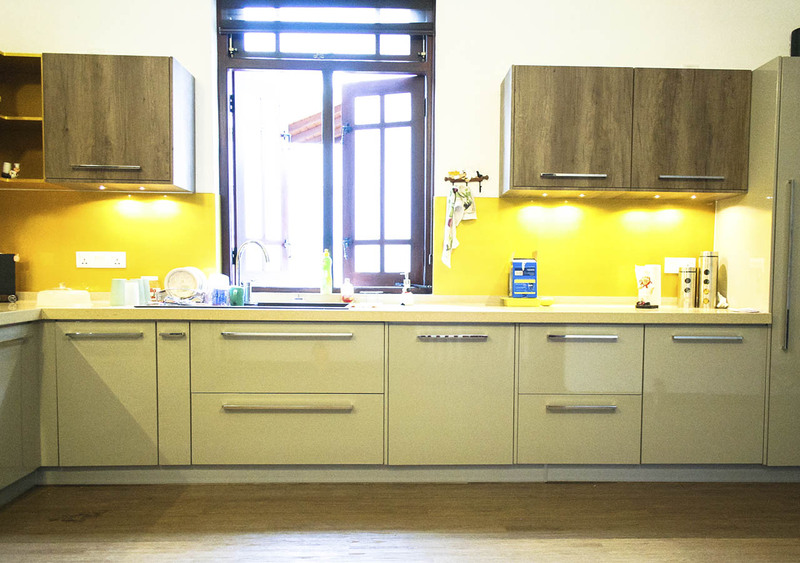 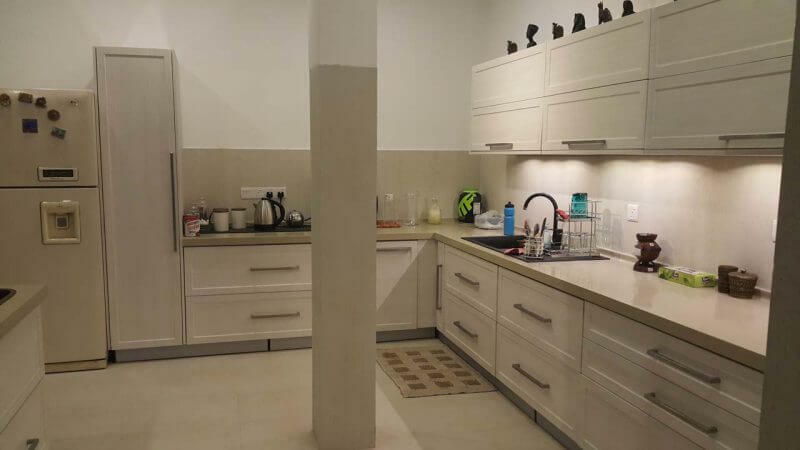 The wooden parts of the kitchen which are carefully placed makes the subtle difference. 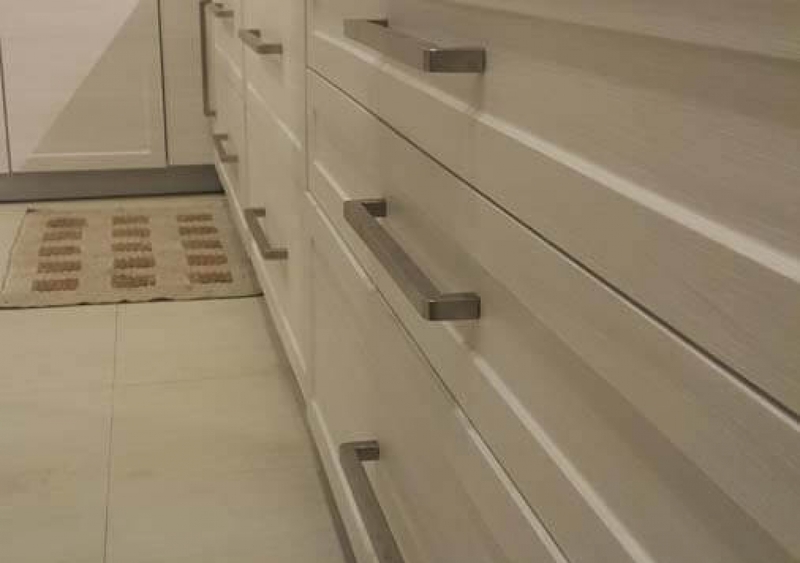 Finishes from wood and white, all in matt finish to make it easy on the eye. 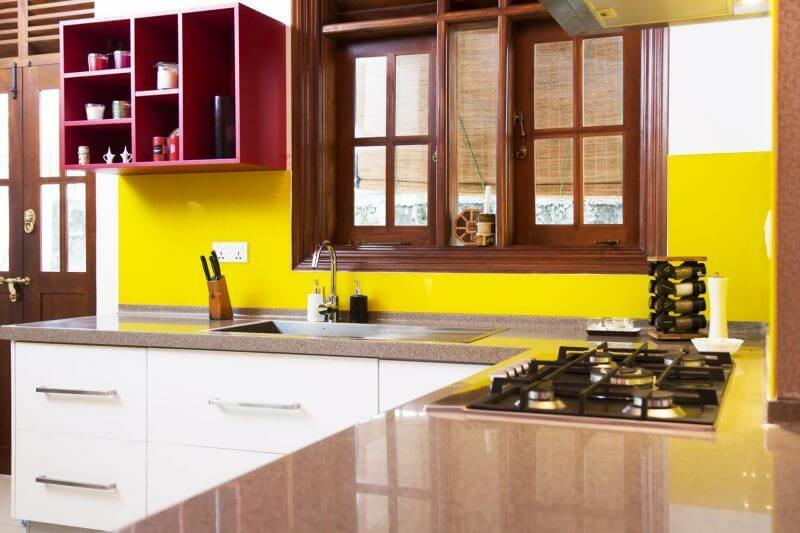 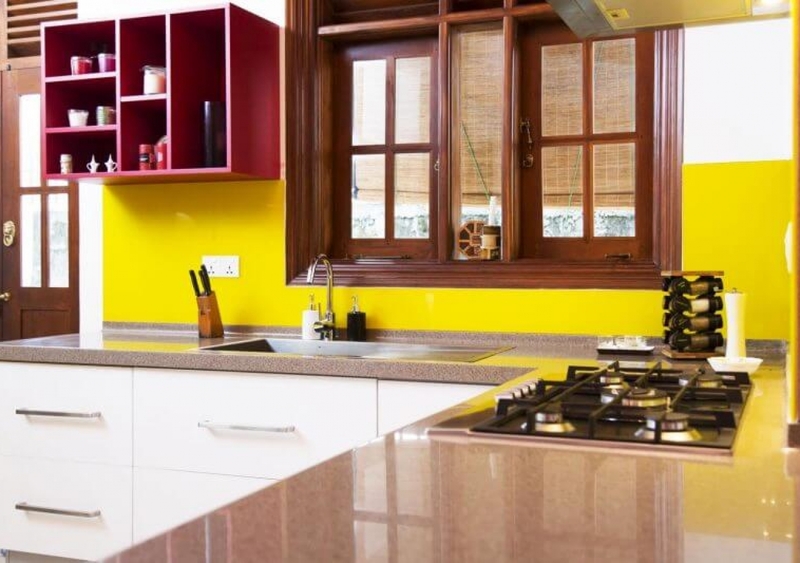 With a touch of red and yellow on this type of pantry cupboards makes it even more attractive. 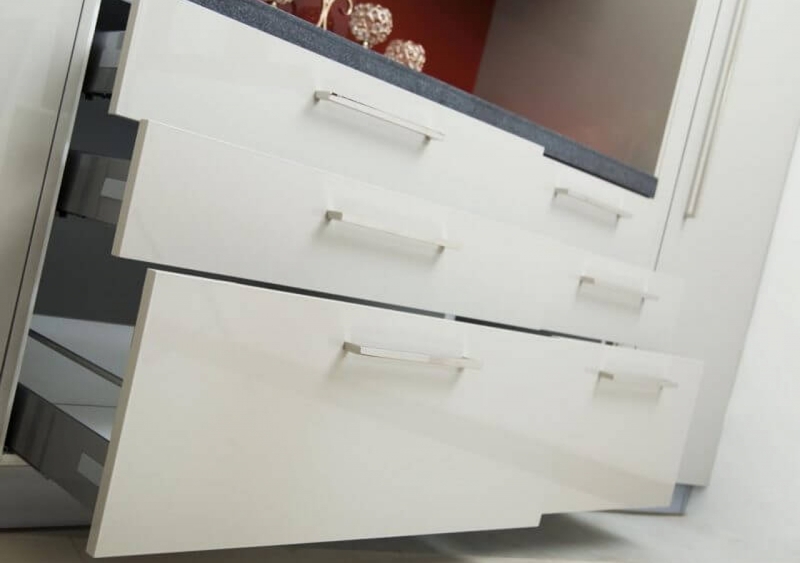 Super matt is the new design for kitchen & pantry cupboards. 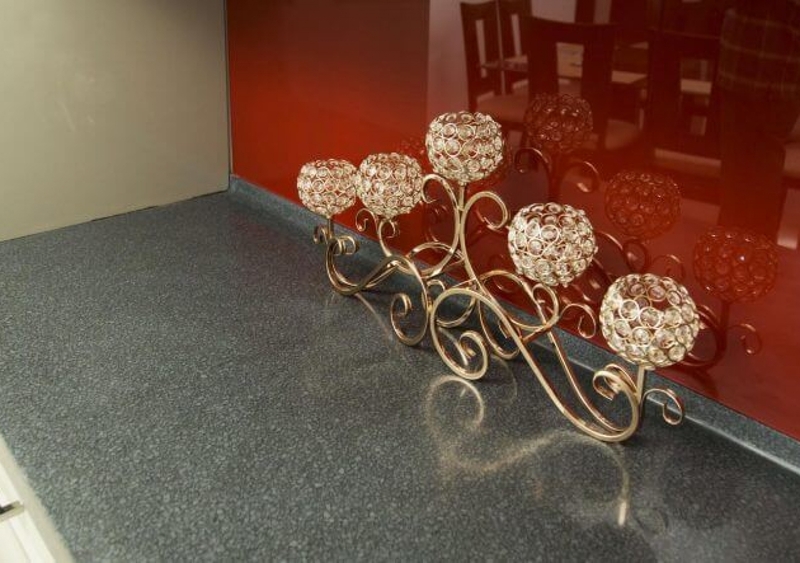 Combined with high gloss white, it has brought out the character of the matt finish. 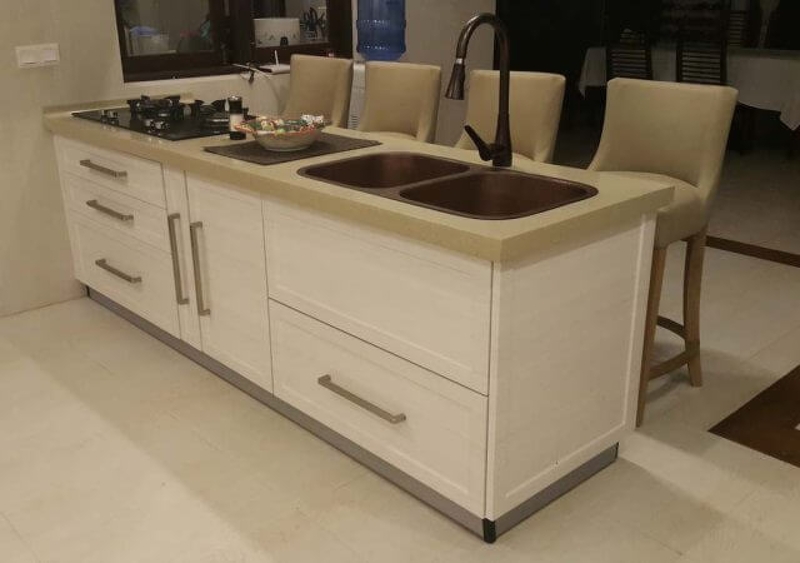 Beautiful, elegant and functional. 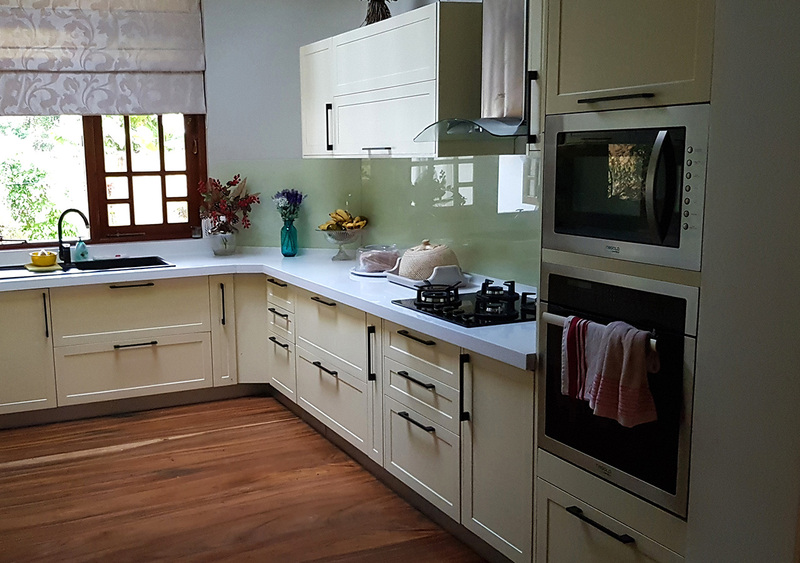 This kitchen is a class of its own, inspired by the European rustic furniture style. Enhanced space through simplicity. 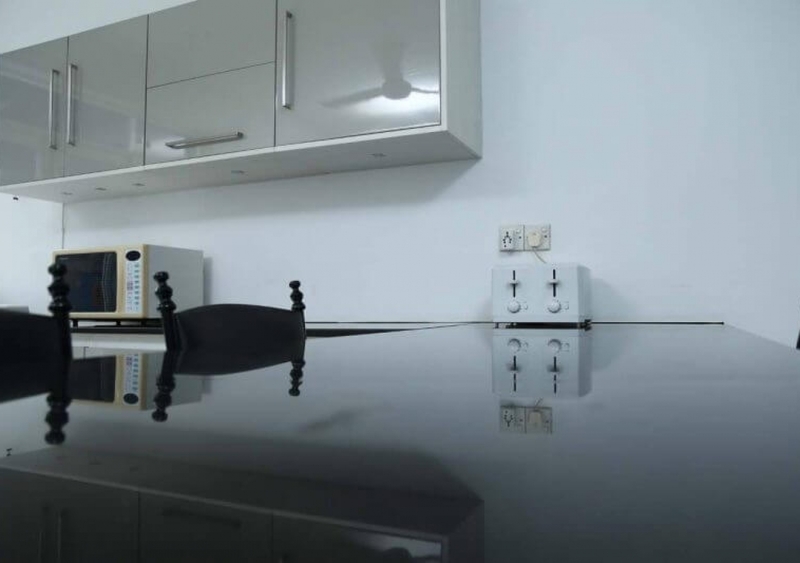 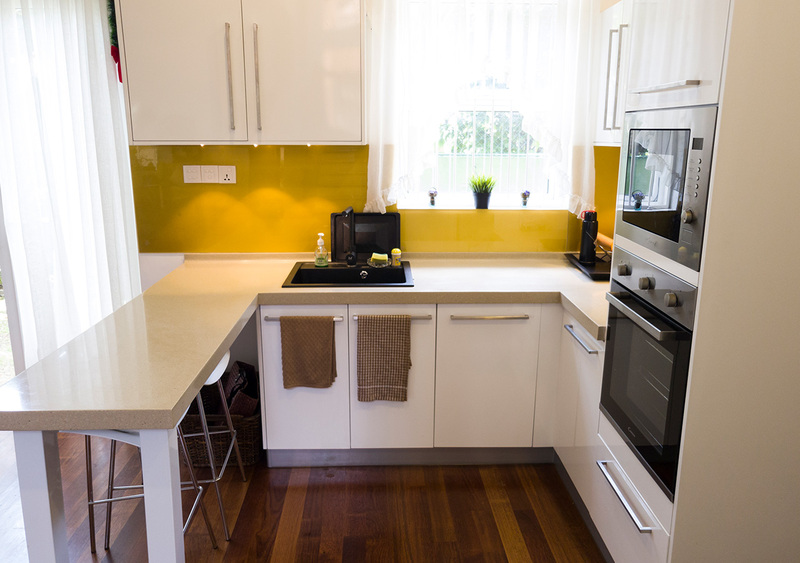 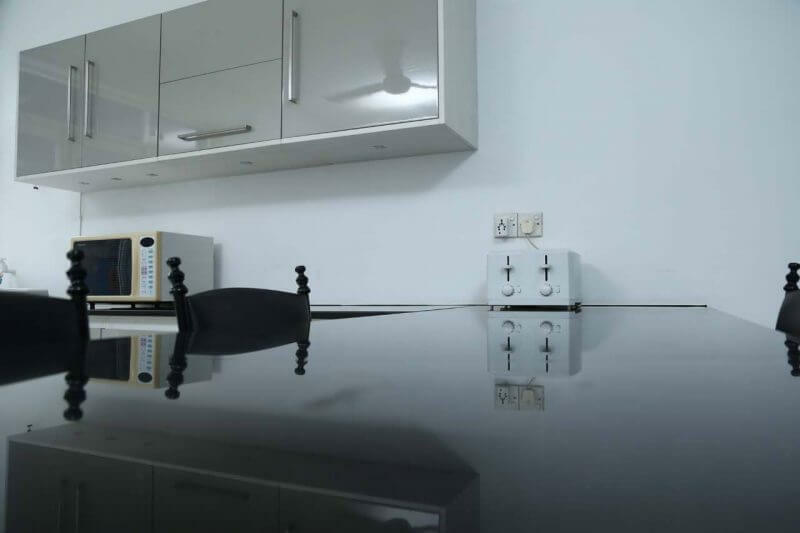 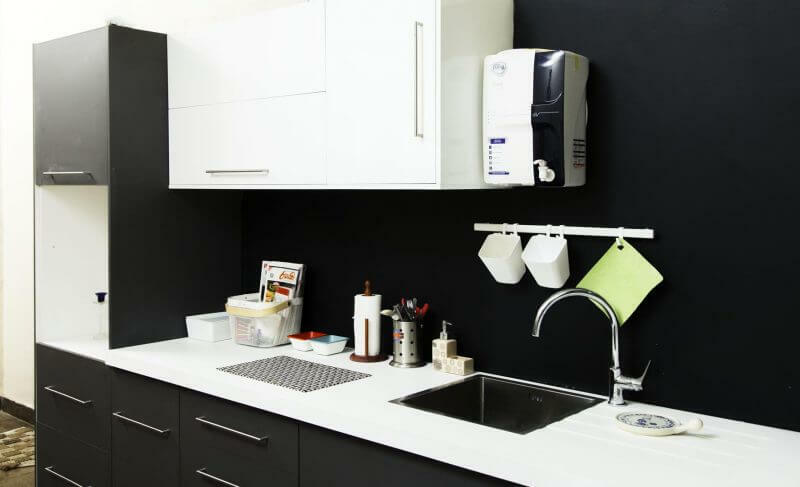 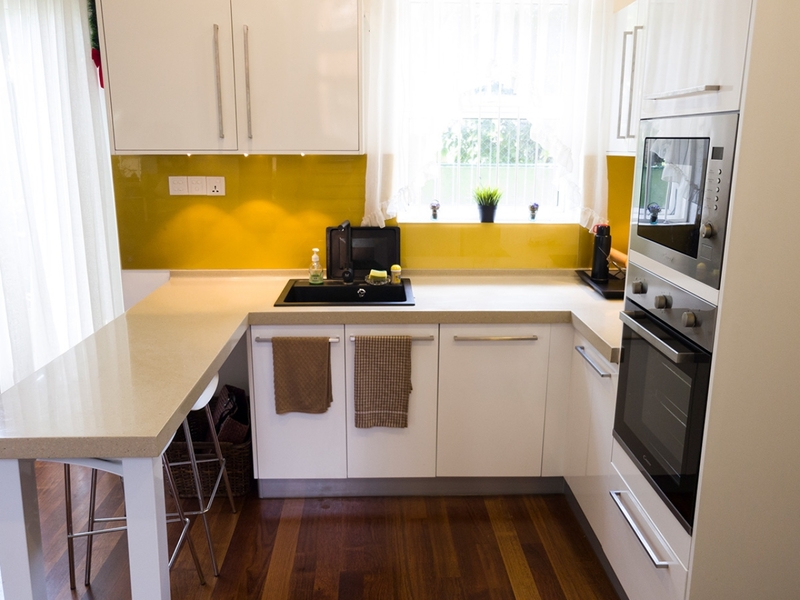 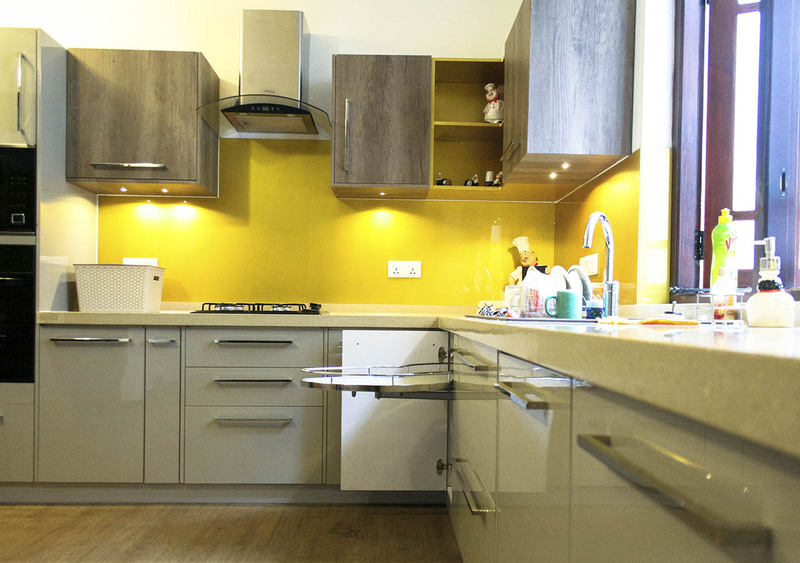 By choosing right high gloss colour spreading through the entire kitchen, the compact room looks more spacious. 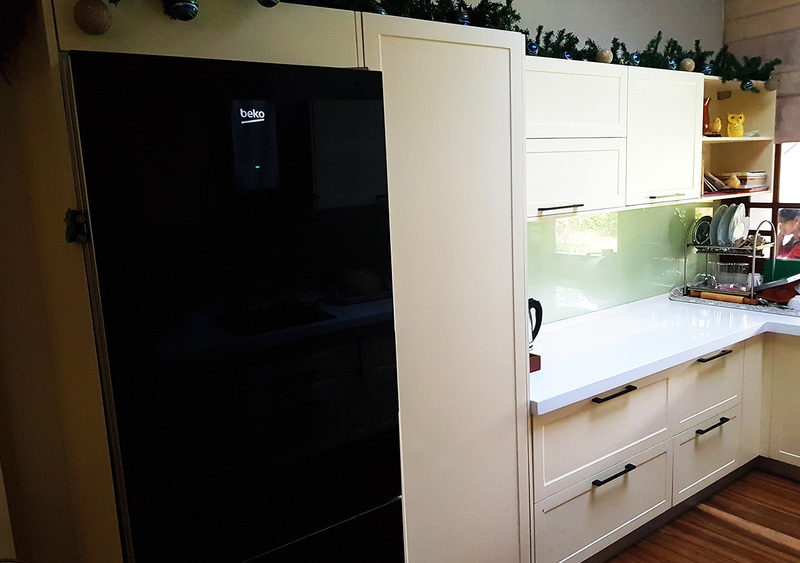 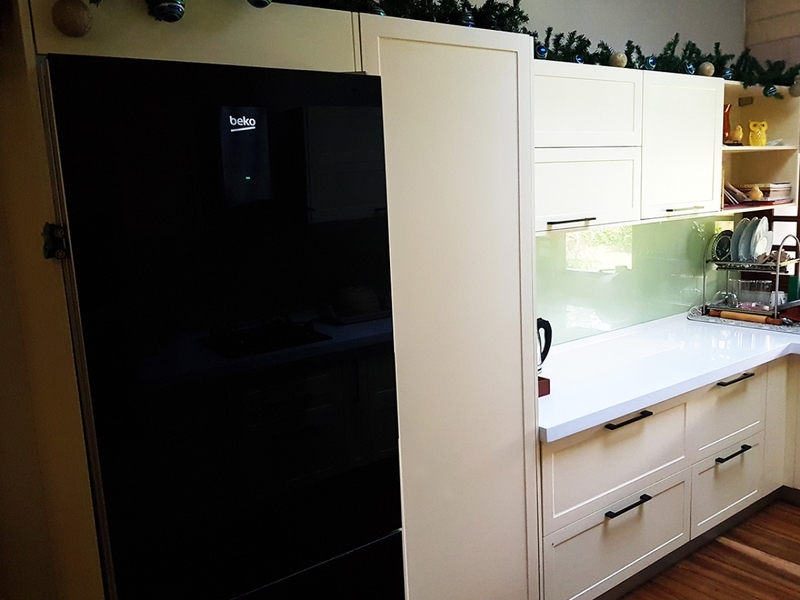 The red gloss splash back pantry cupboard set looks wonderful around the high gloss coffee colour. 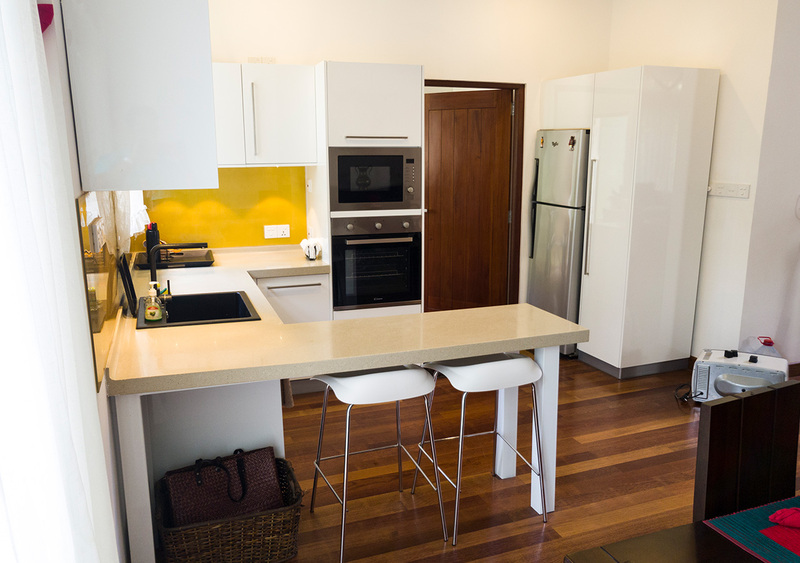 The unit is small and sleek which clearly takes off the tediousness in the dining area. 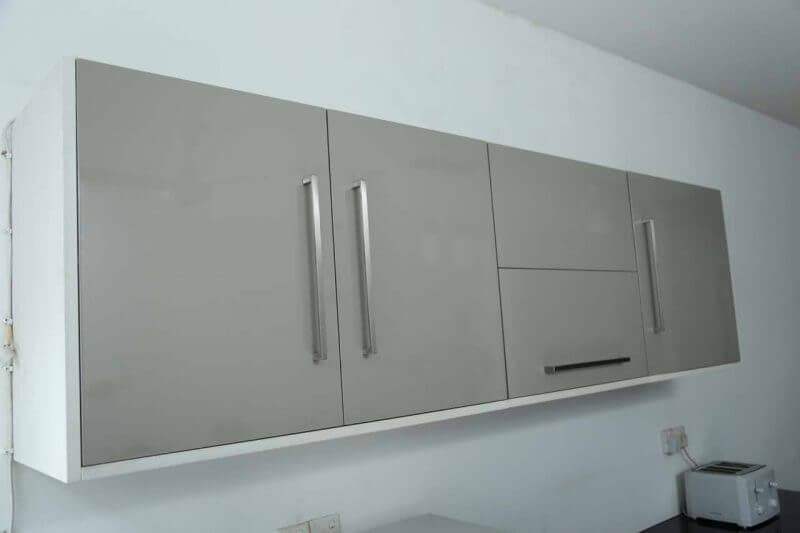 Two tone colour matching was a trend in these type of pantry cupboards. 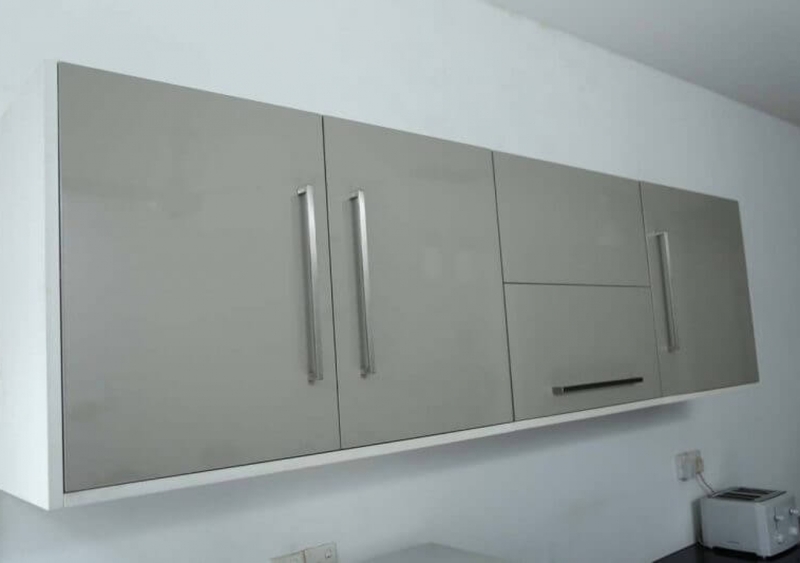 We matched not only the colours but also the different types such as the high gloss white rustic to get this finish. 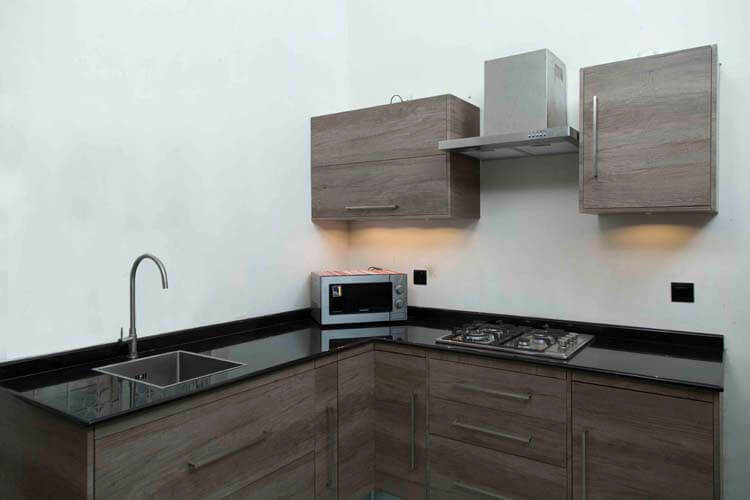 The concept was to make it look like the worktop resting on a chunk of wood. 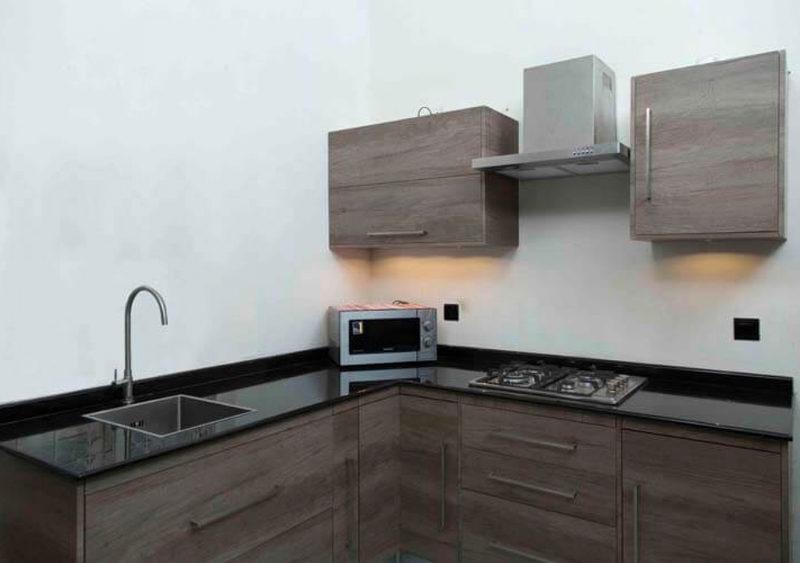 Even the neat lined top units look like square chunk of wood blocks hanging freely off the wall.